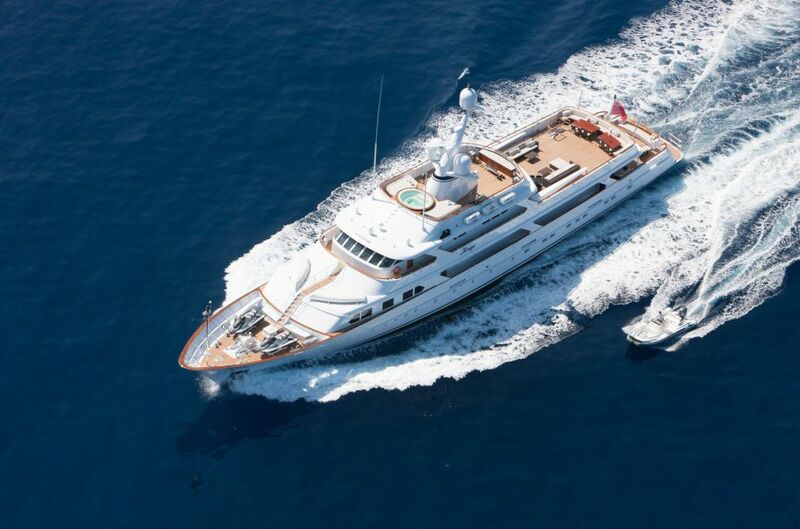 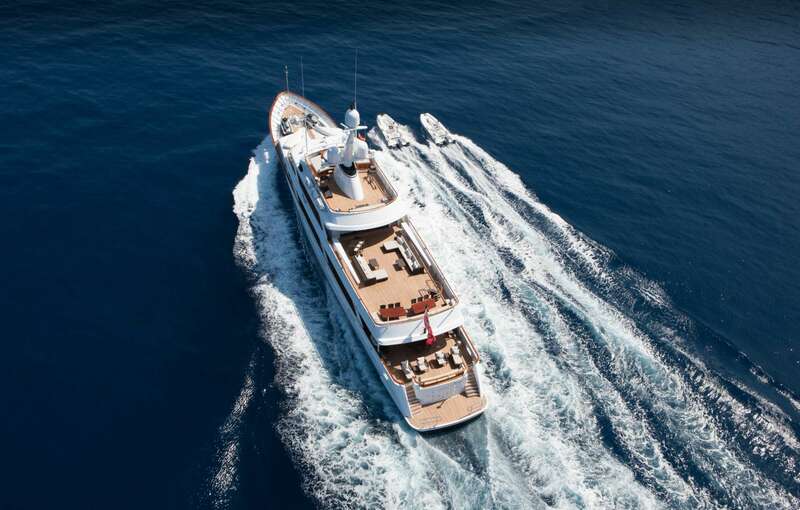 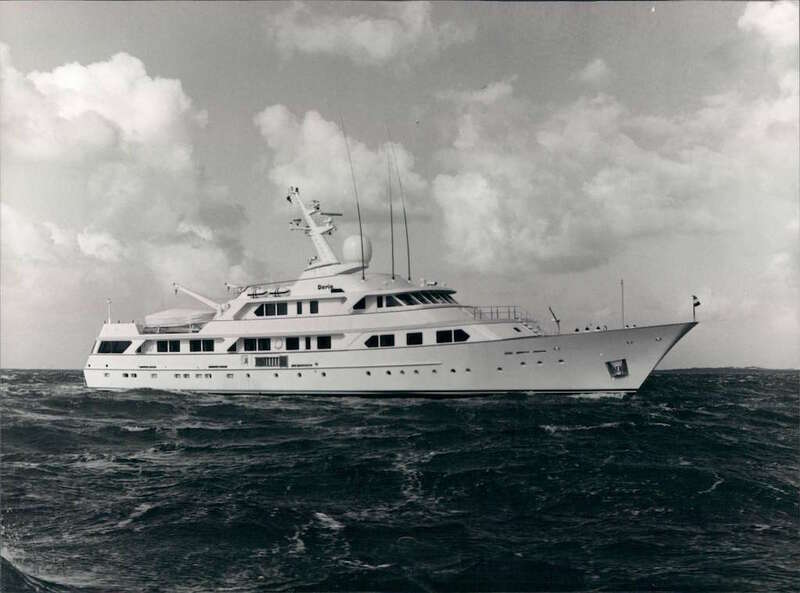 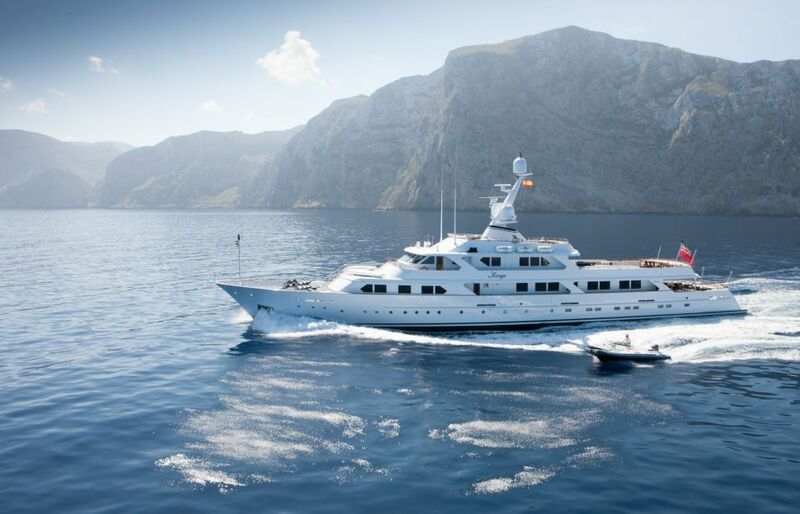 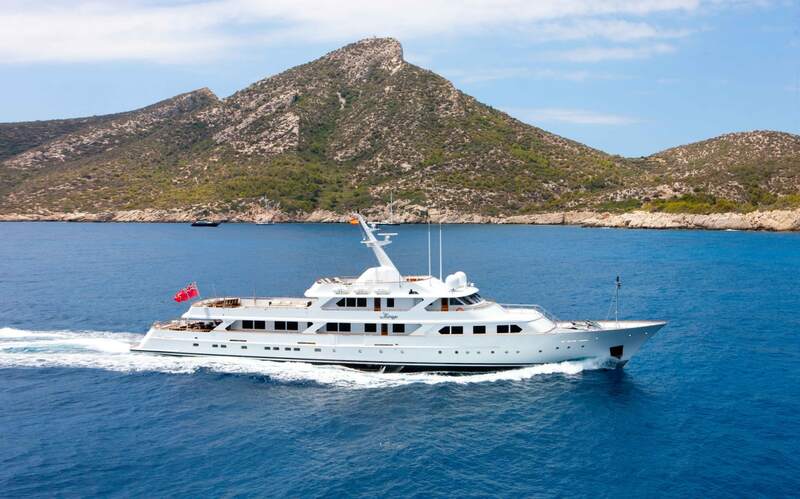 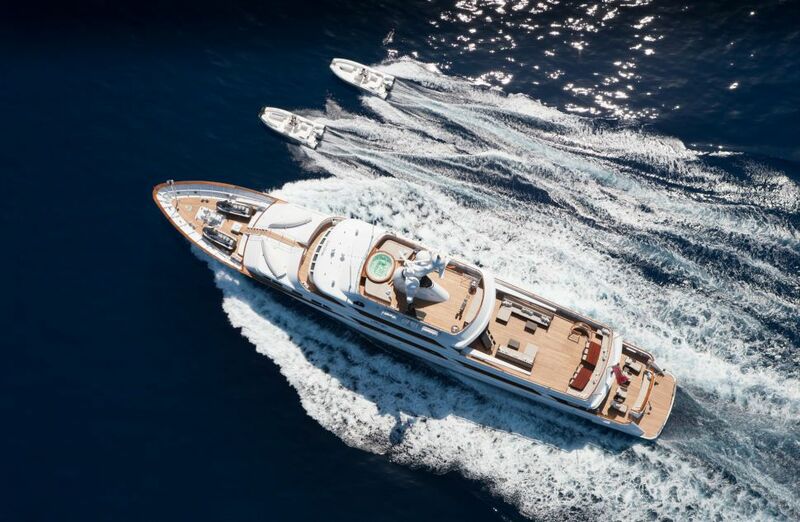 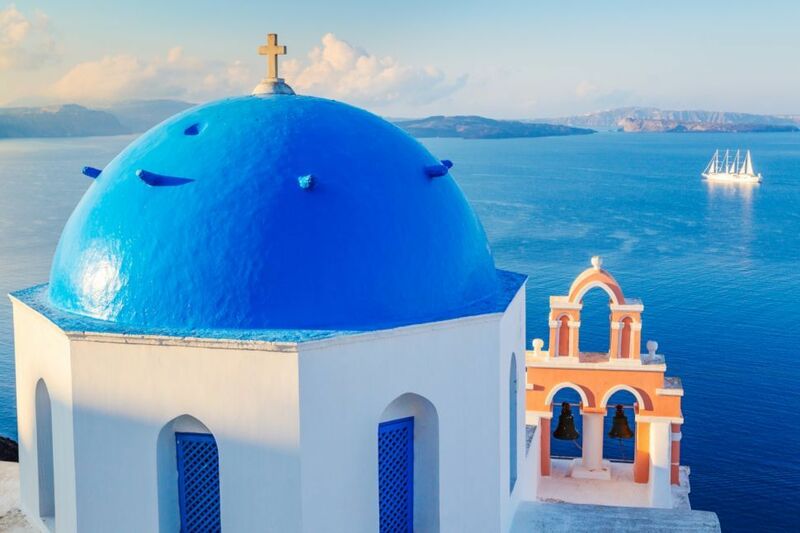 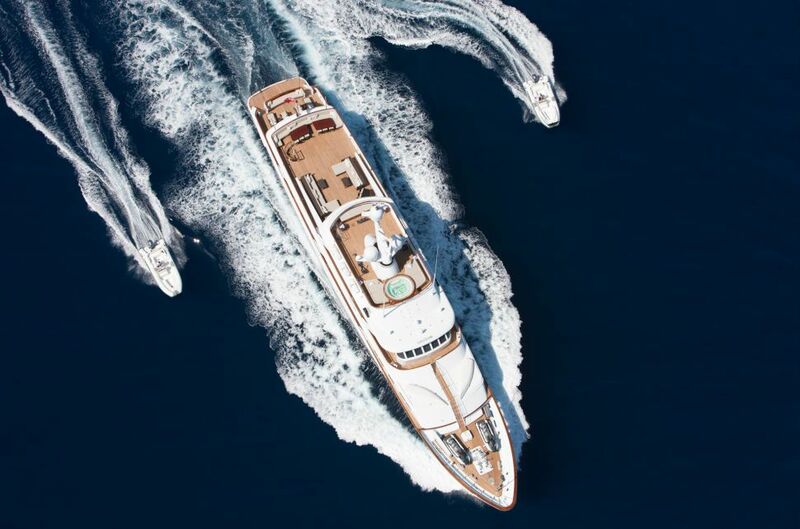 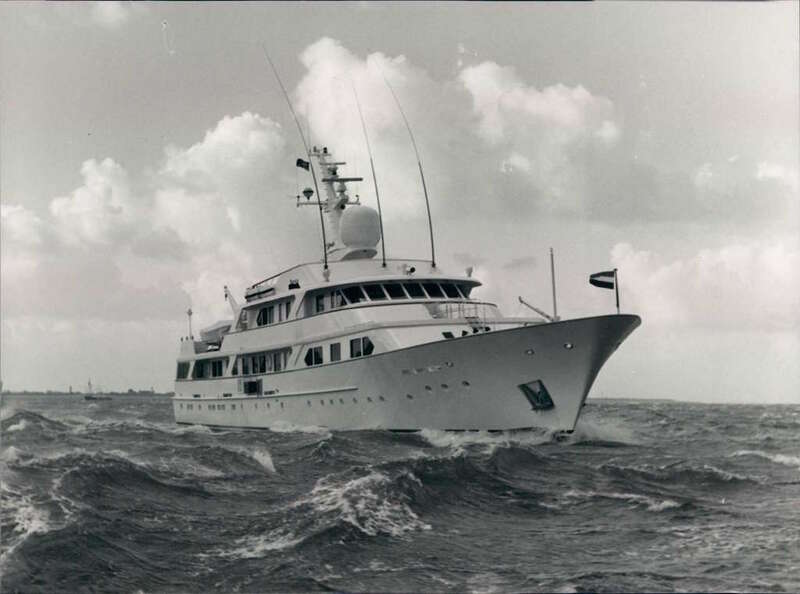 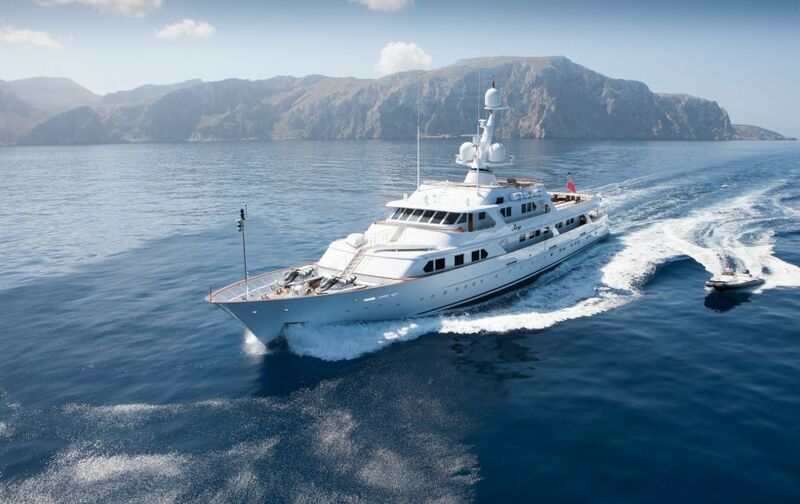 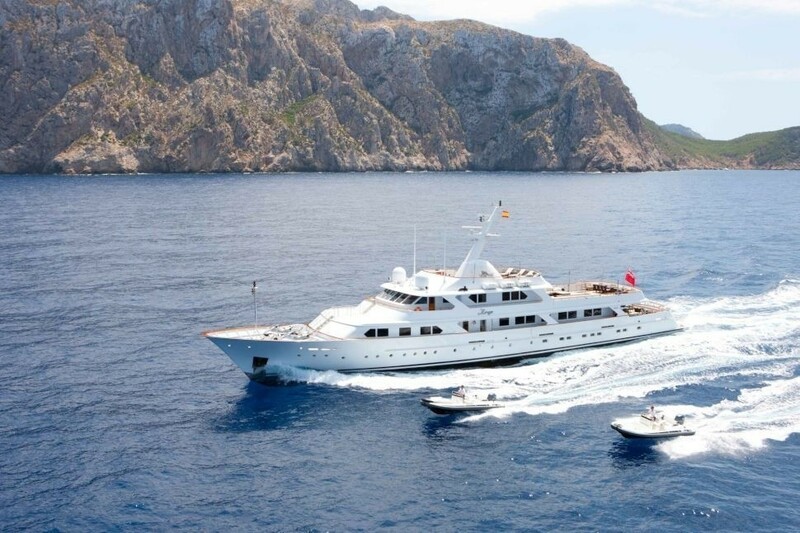 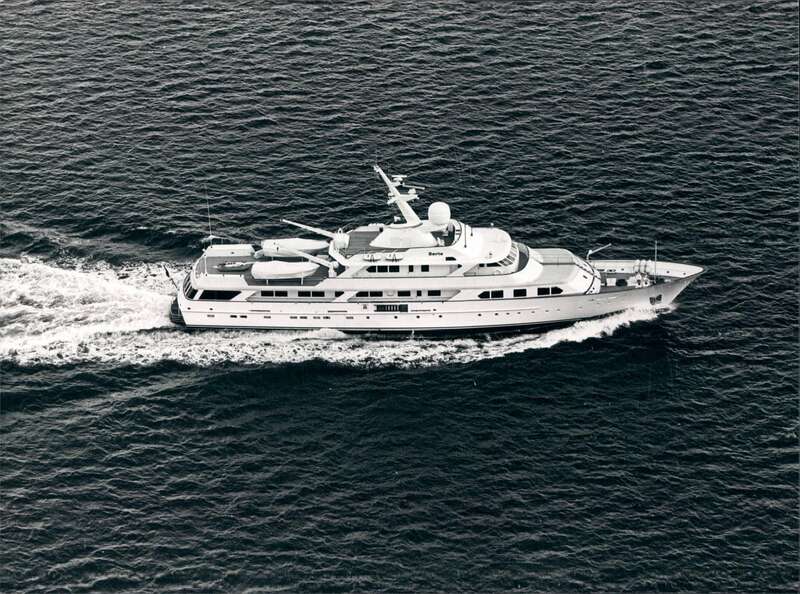 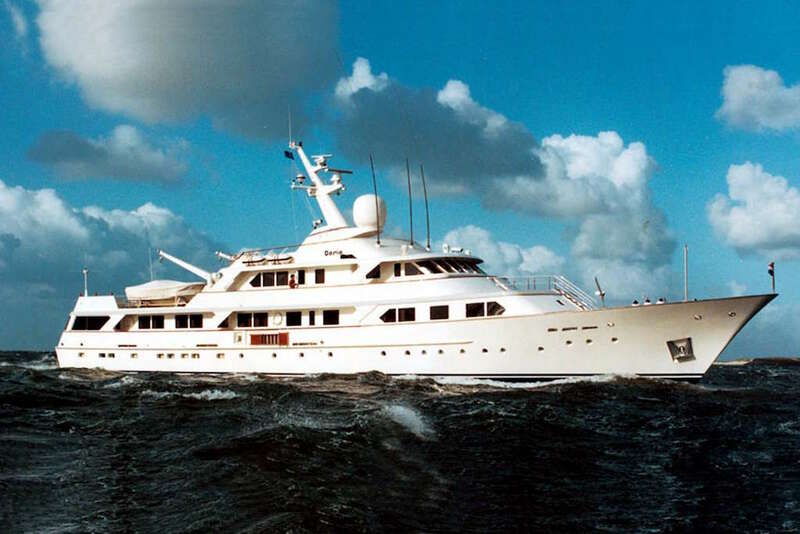 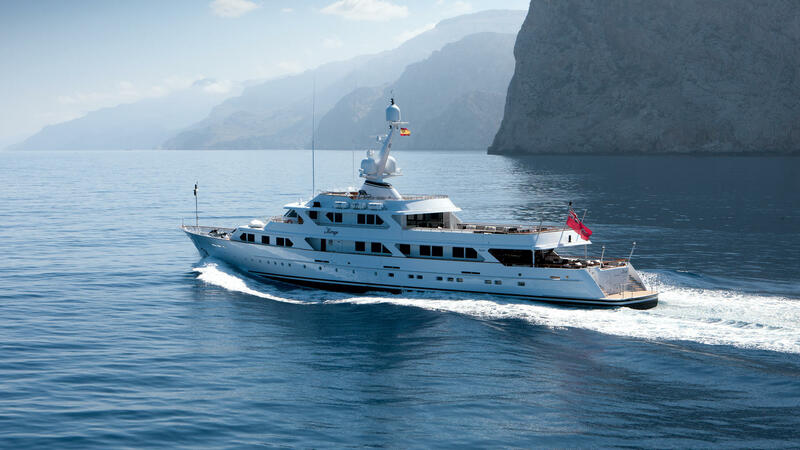 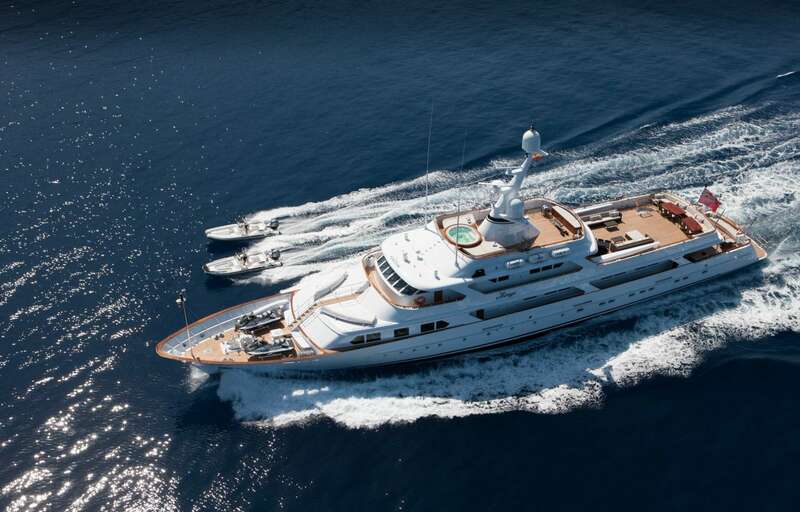 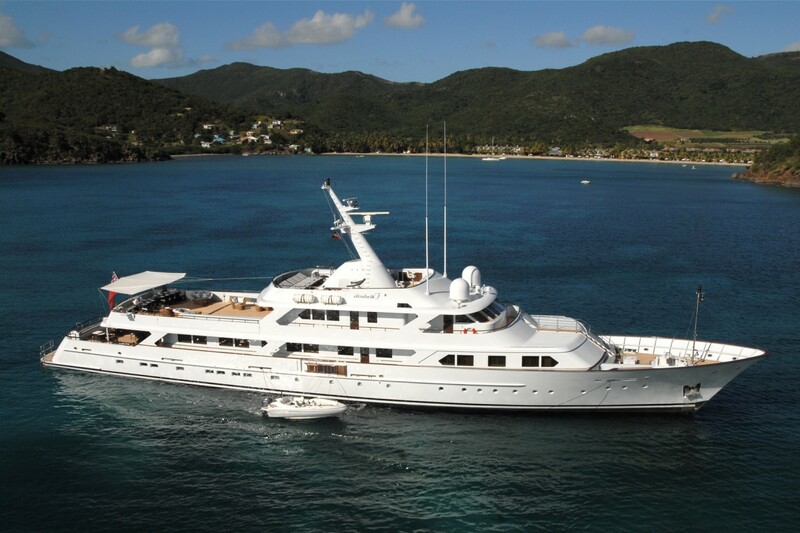 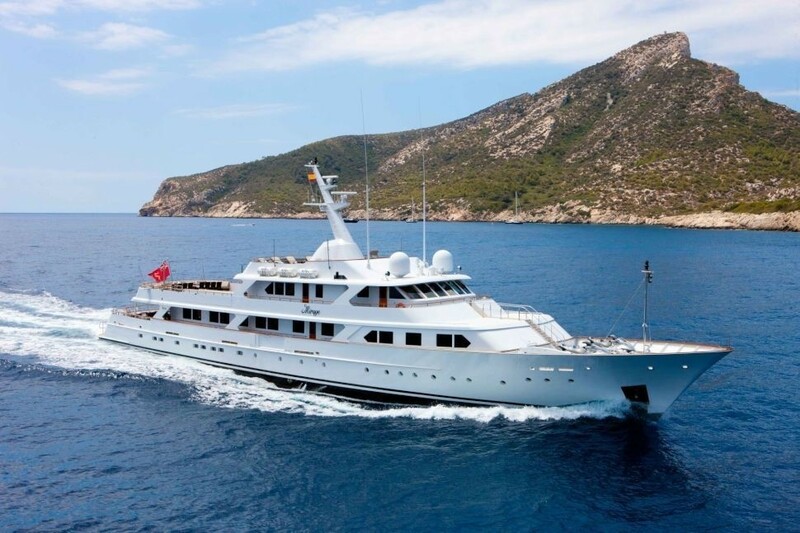 Luxury yacht MIRAGE was designed by naval architect De Voogt and launched by the infamous Feadship in 1979 and superbly refitted in 2009, 2012, 2013, 2014/15. 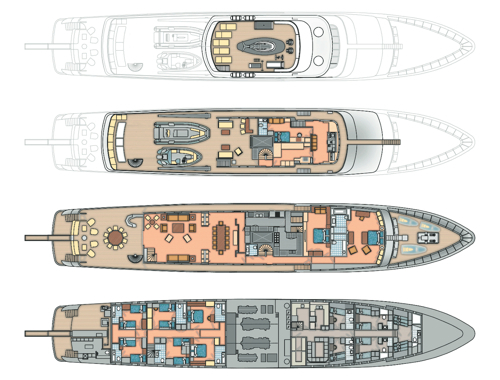 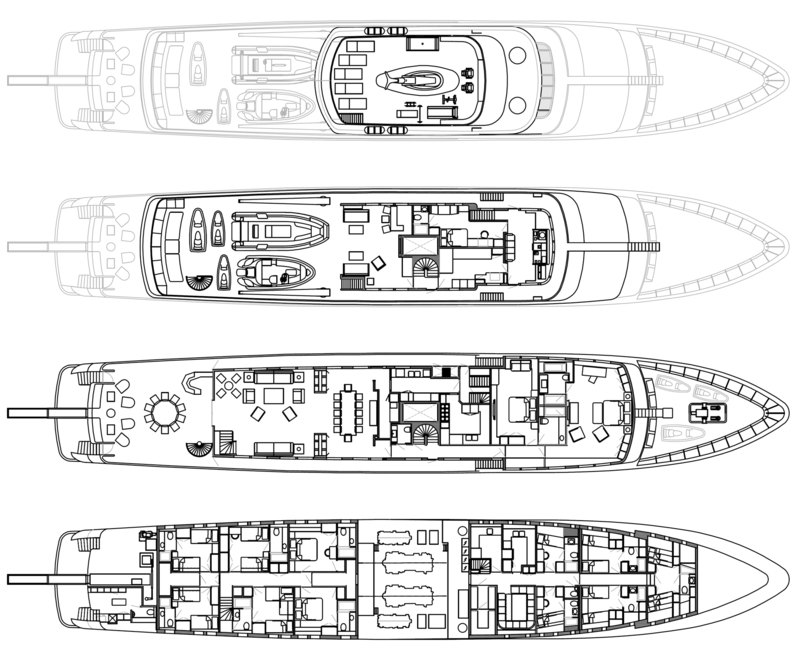 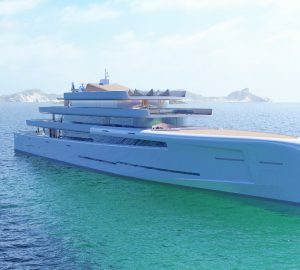 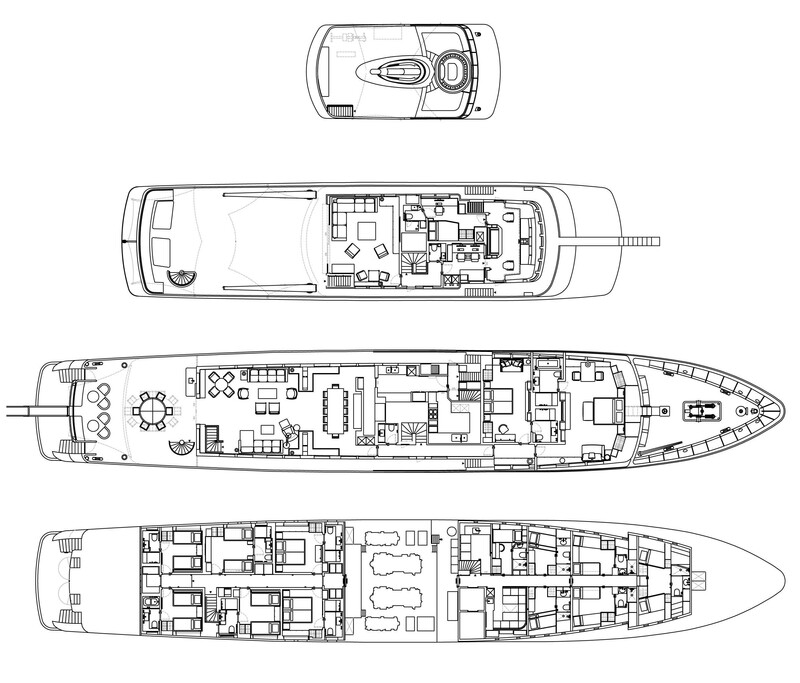 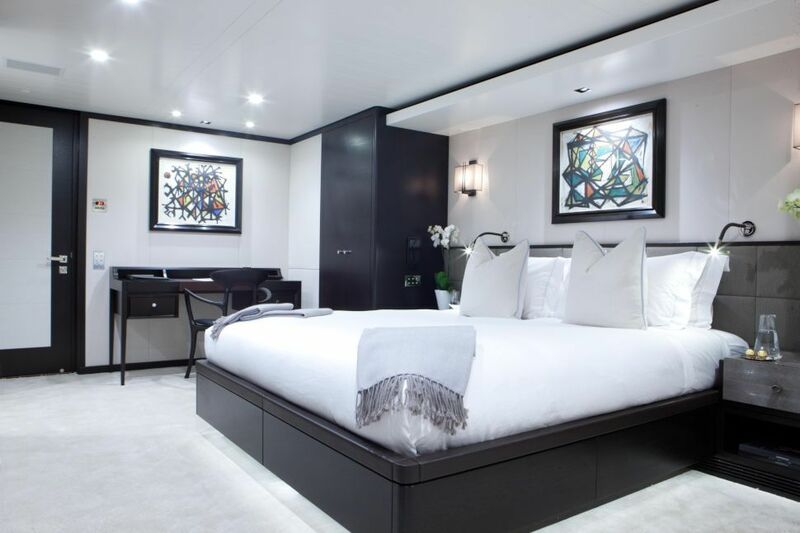 The hull is a solid steel displacement build measuring 53 meters (174ft) and can accommodate 12 guests in 8 deluxe cabins. 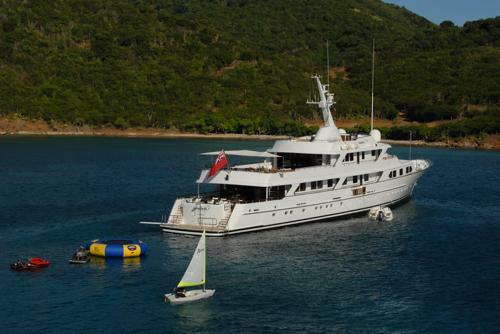 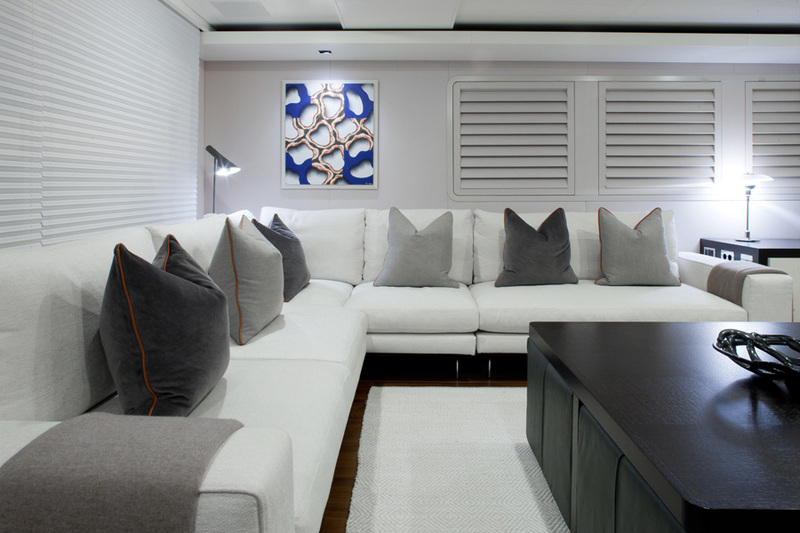 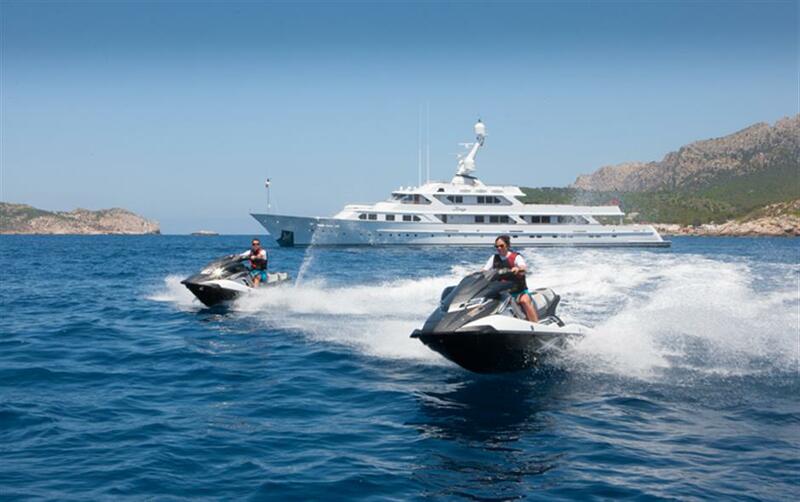 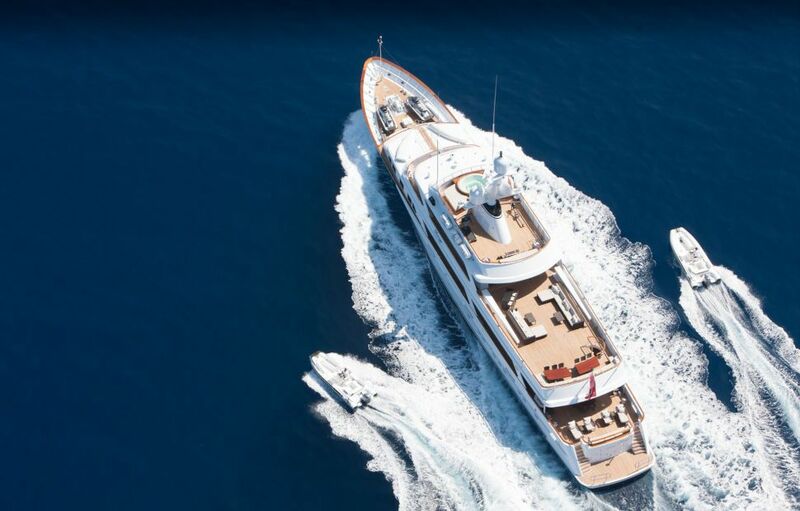 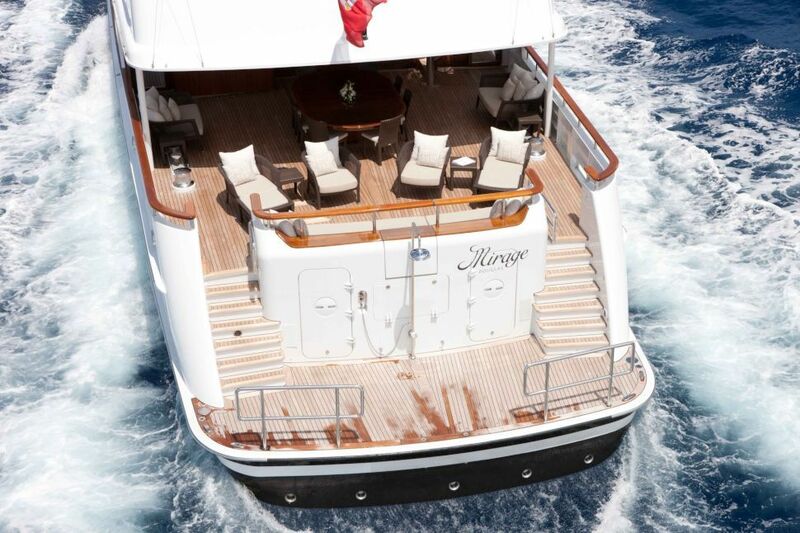 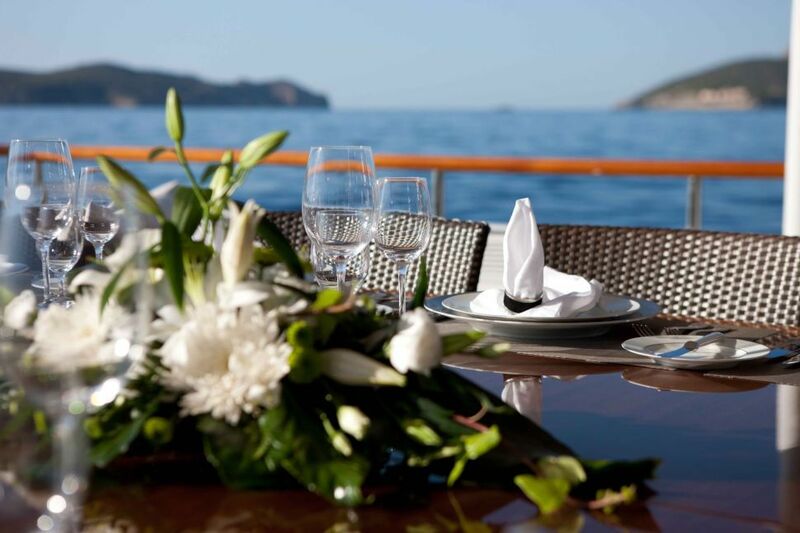 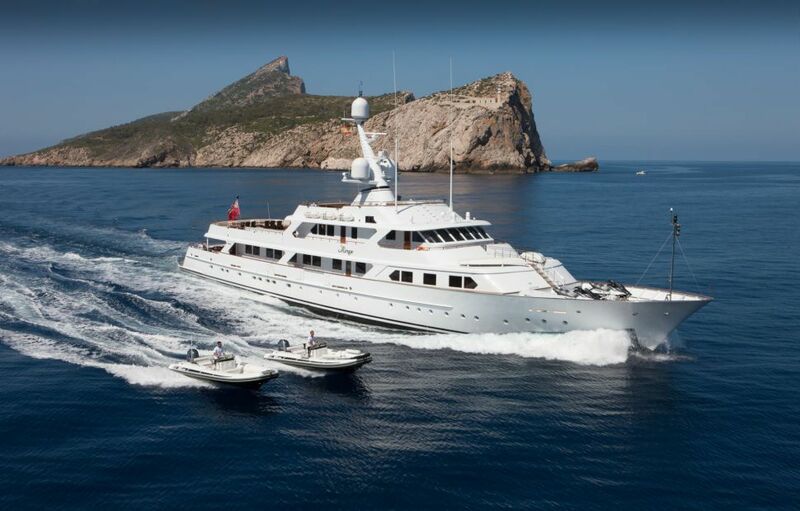 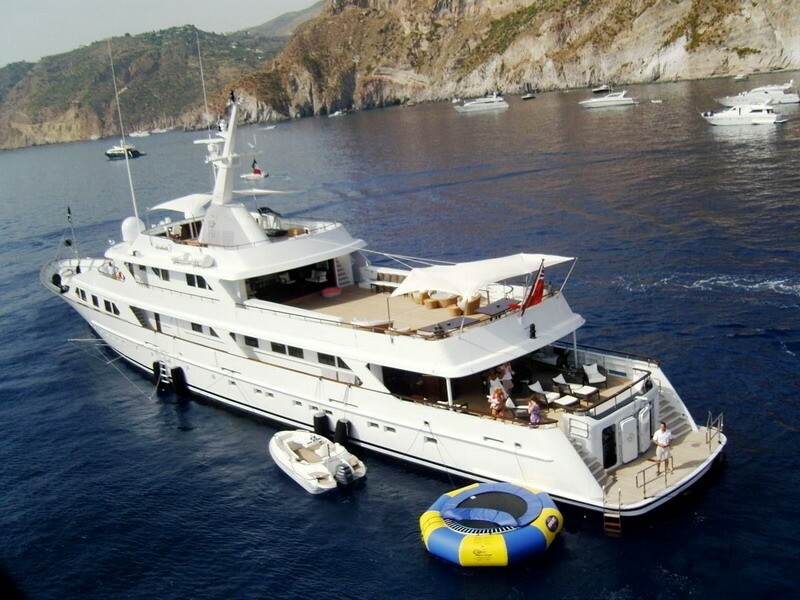 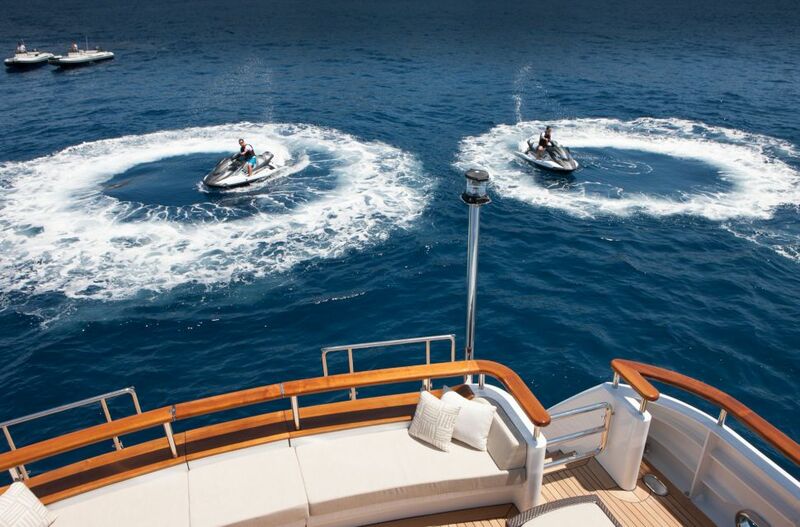 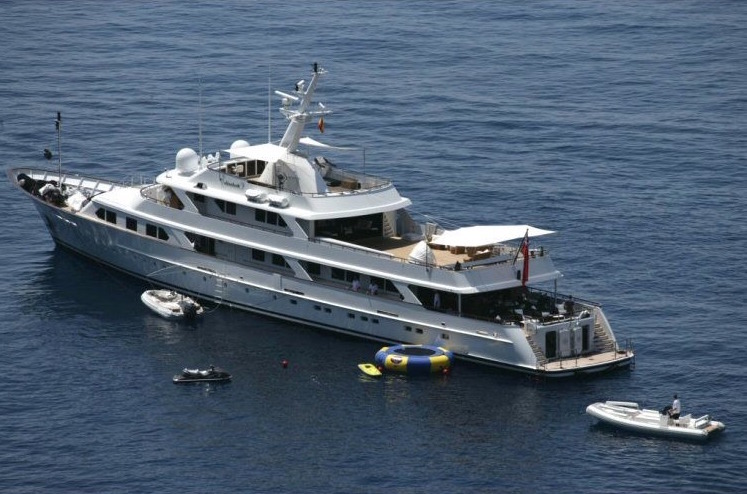 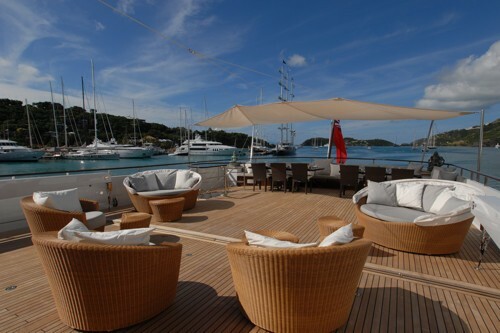 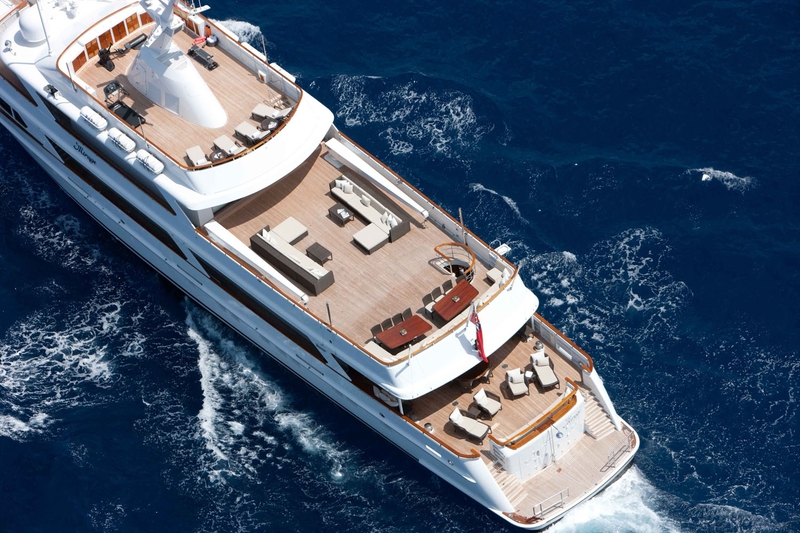 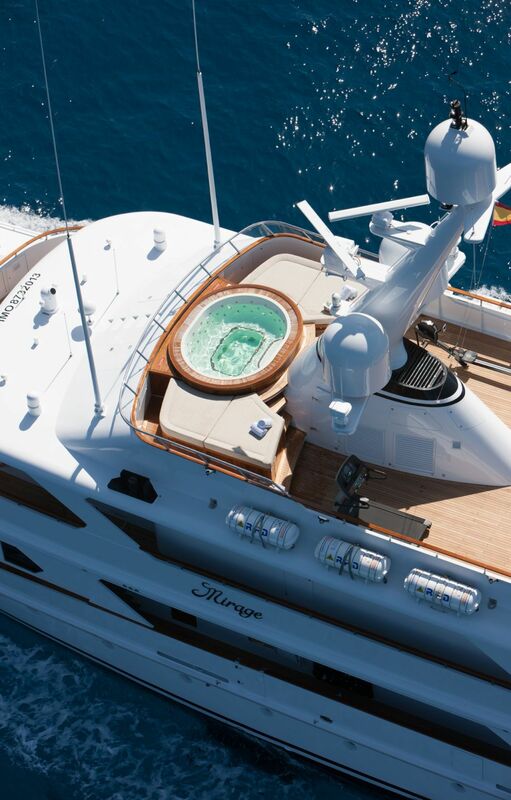 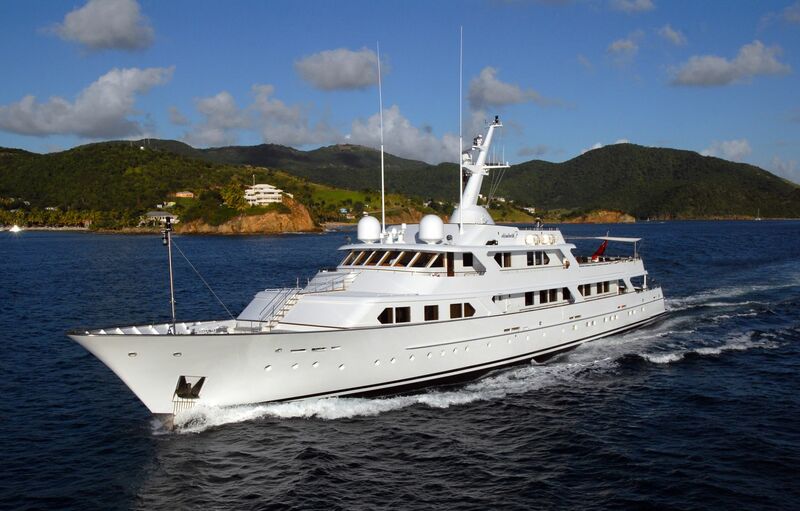 Motor yacht MIRAGE has a unique and inviting interior with an elegant country house charm. 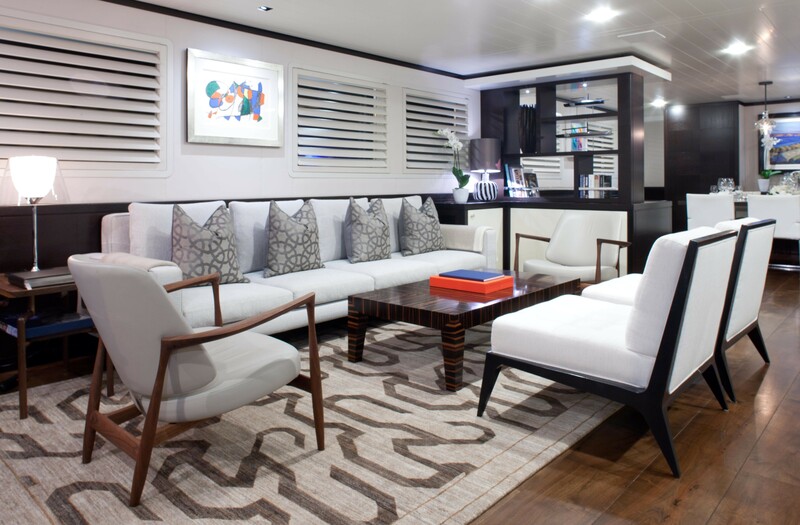 Her salon features wide teak wood flooring, white panels and contemporary subtle cream soft furnishings, ample seating areas make the space ideal for entertaining or simply relaxing. 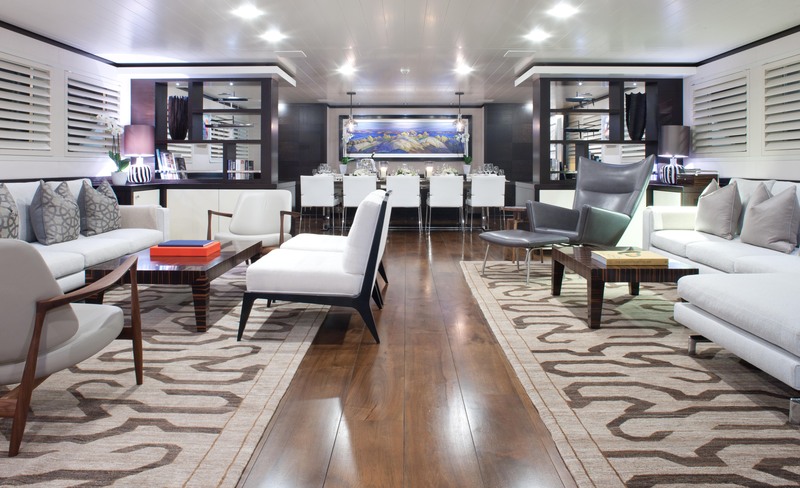 Forward the salon flows through to the formal dining space while remaining a separate feature. 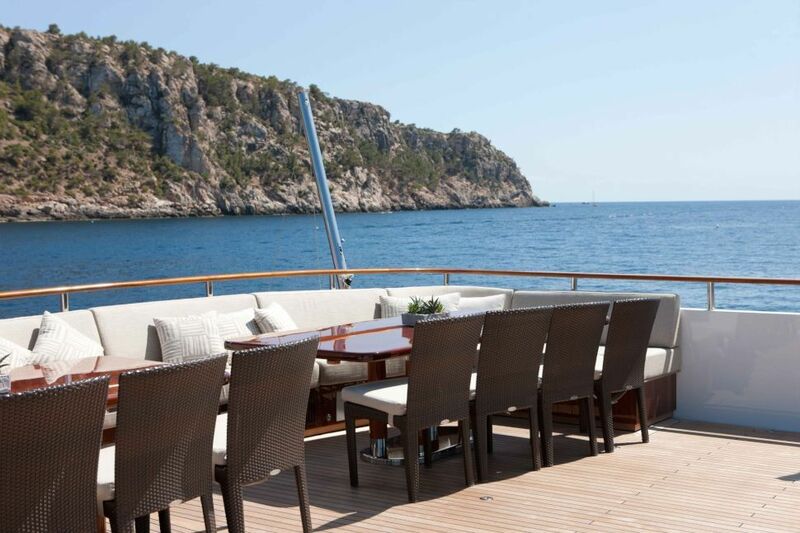 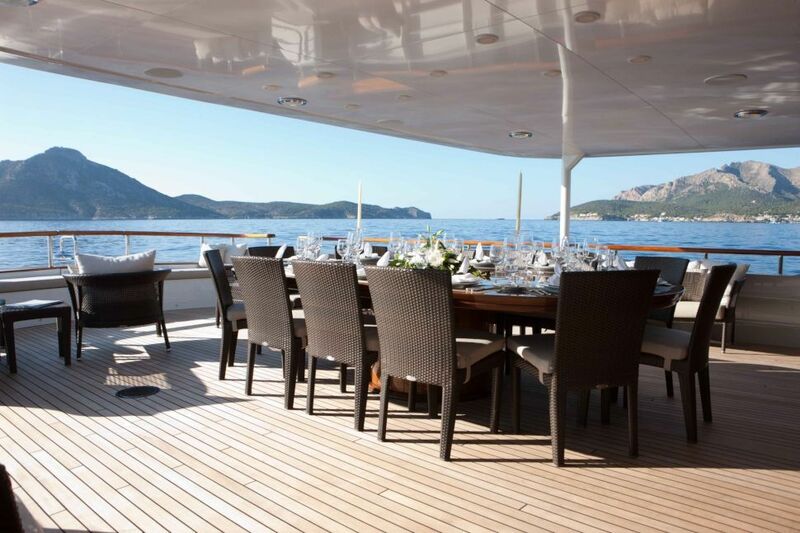 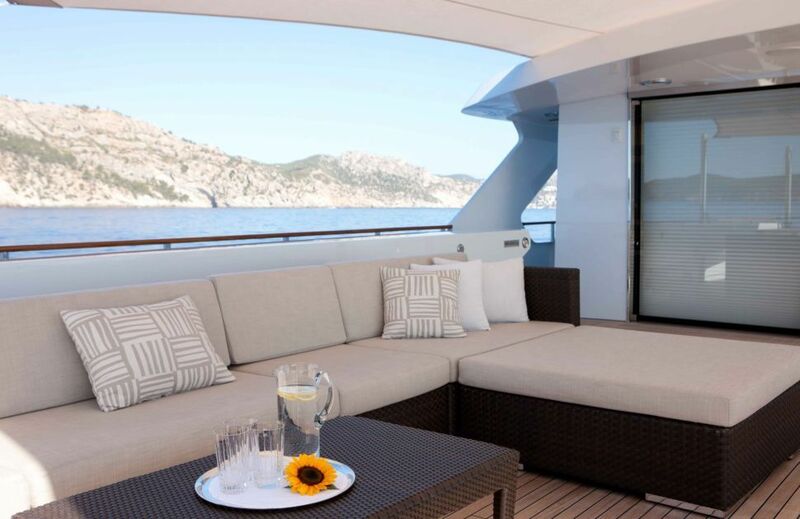 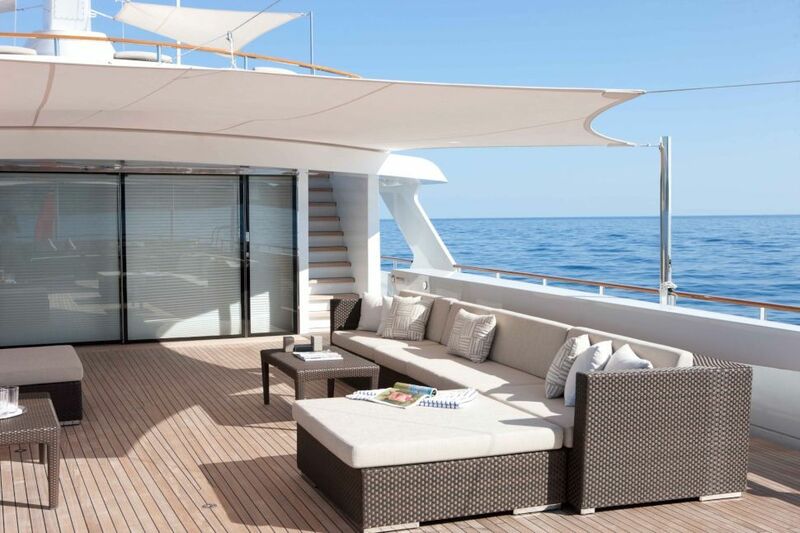 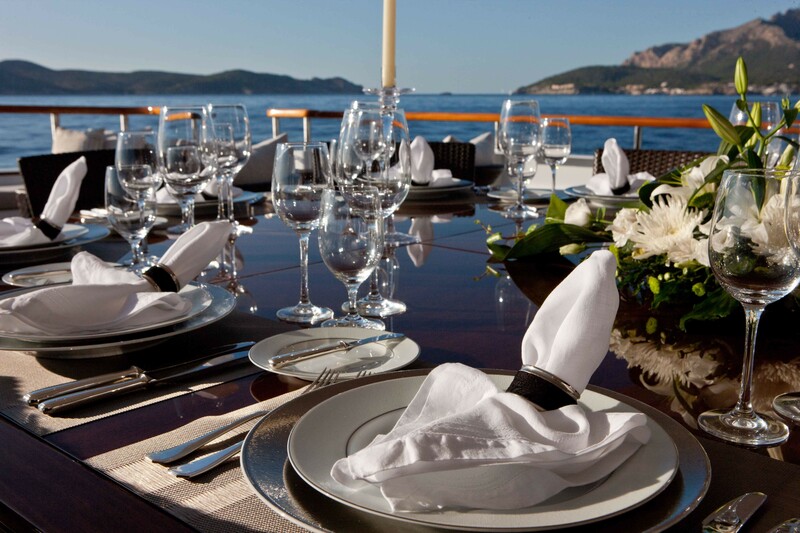 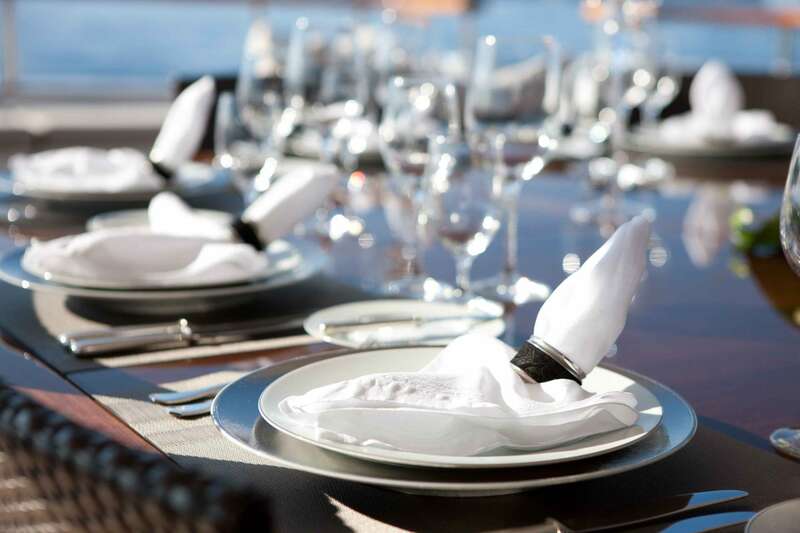 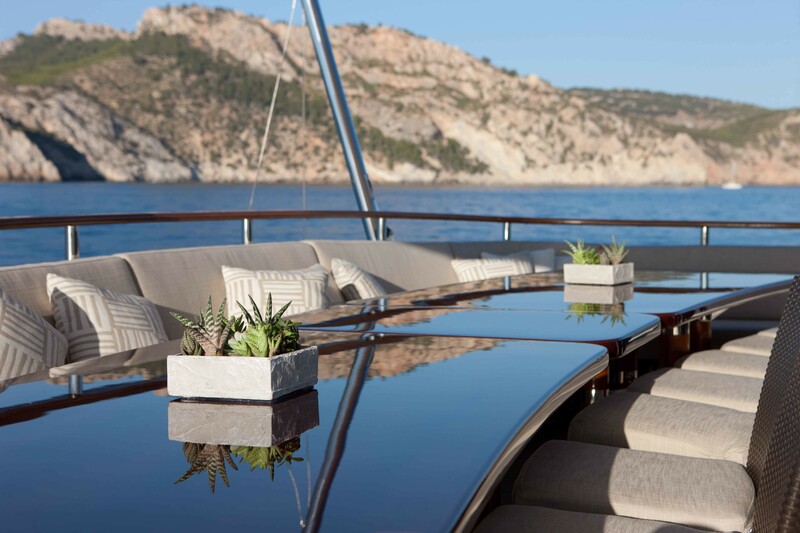 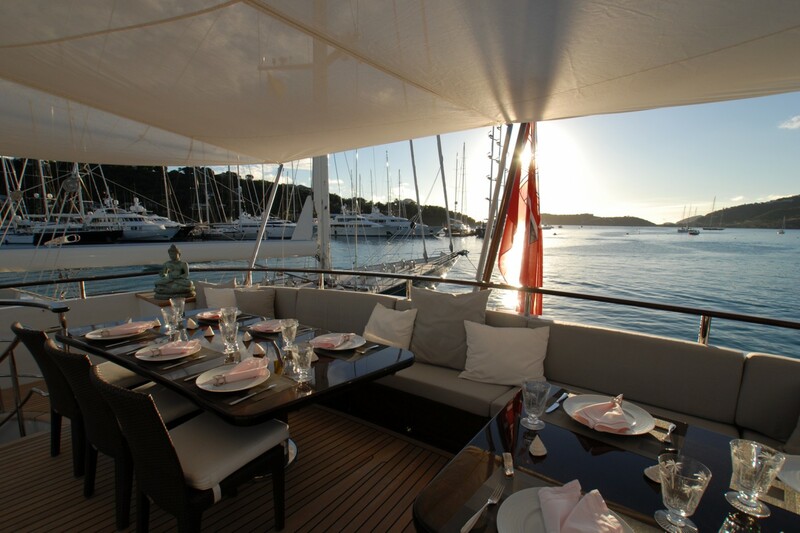 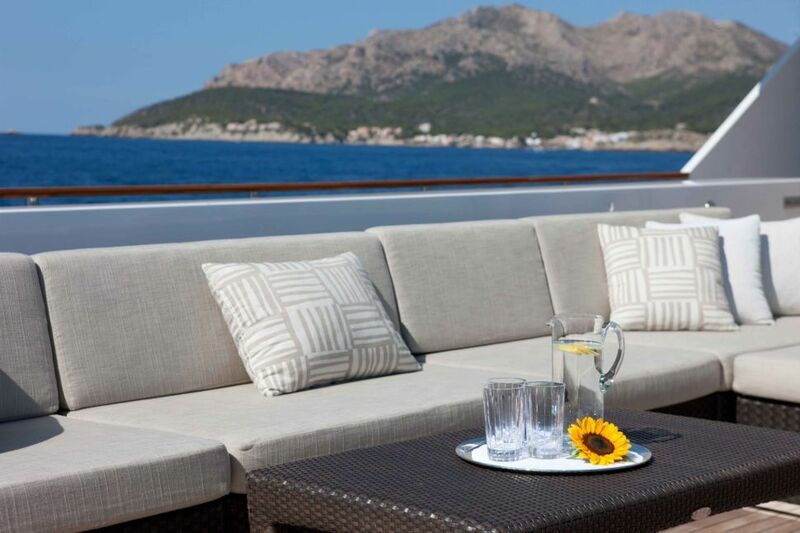 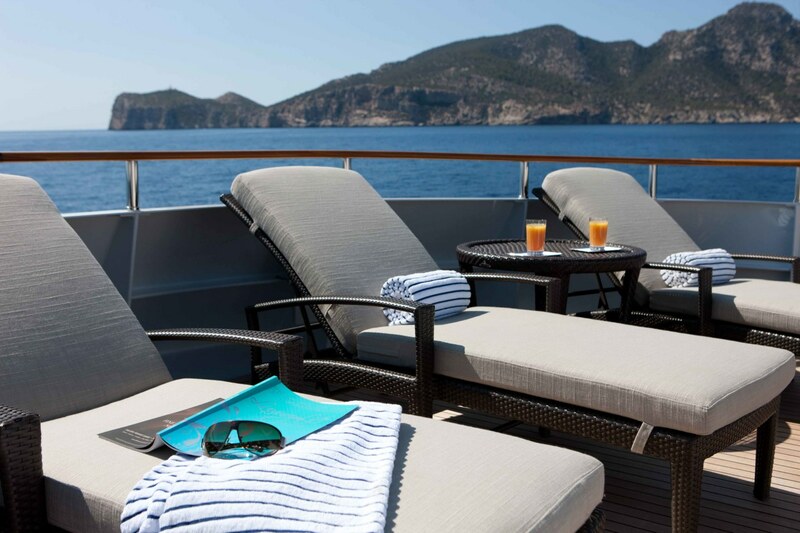 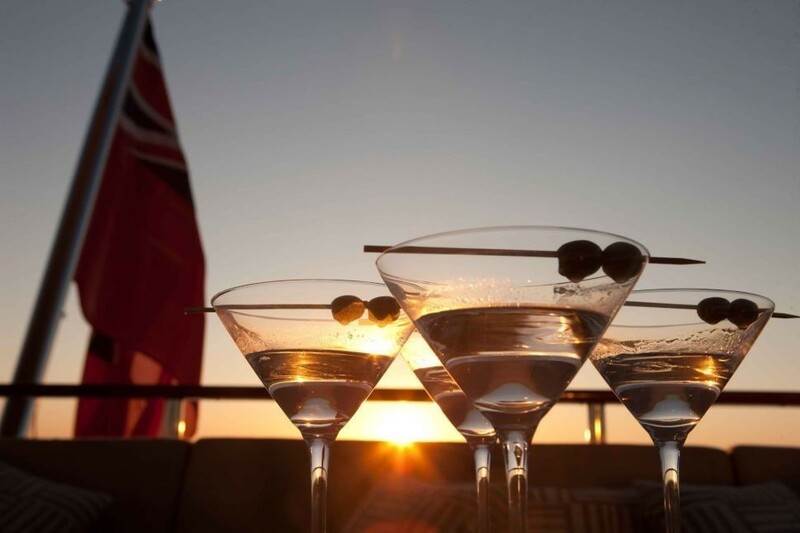 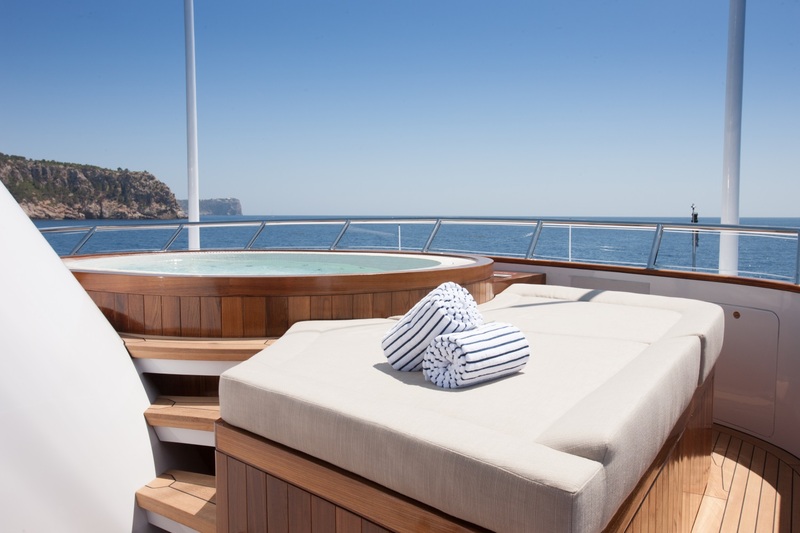 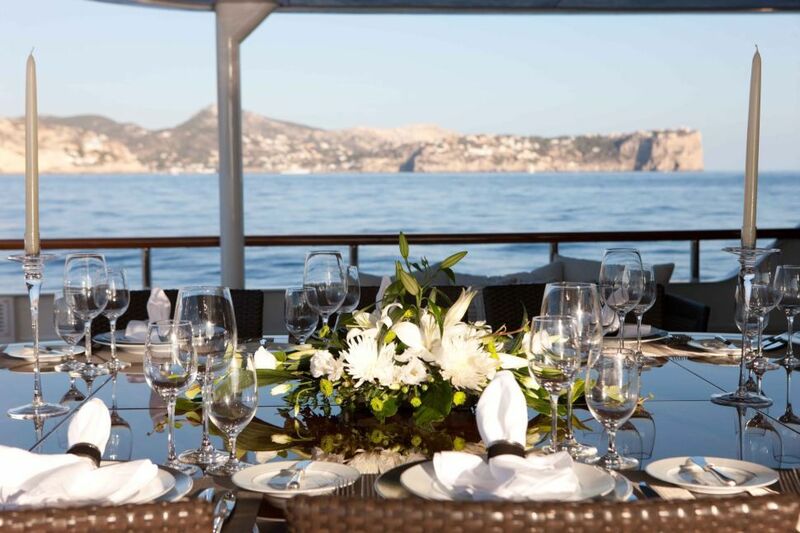 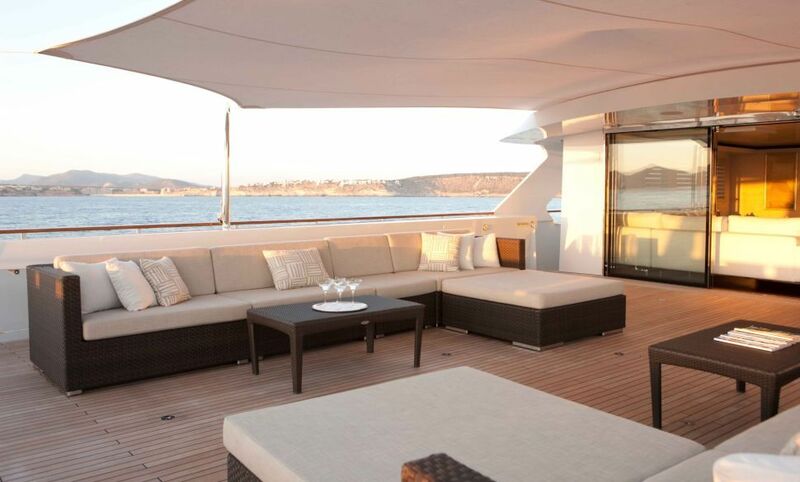 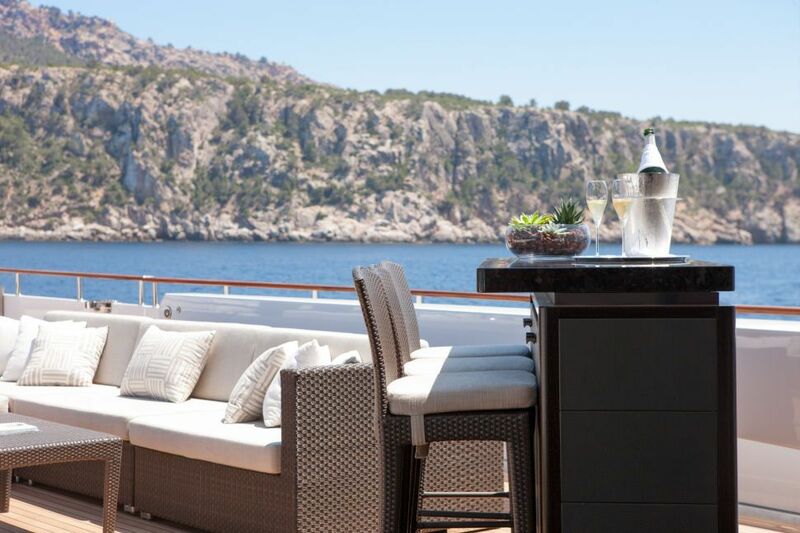 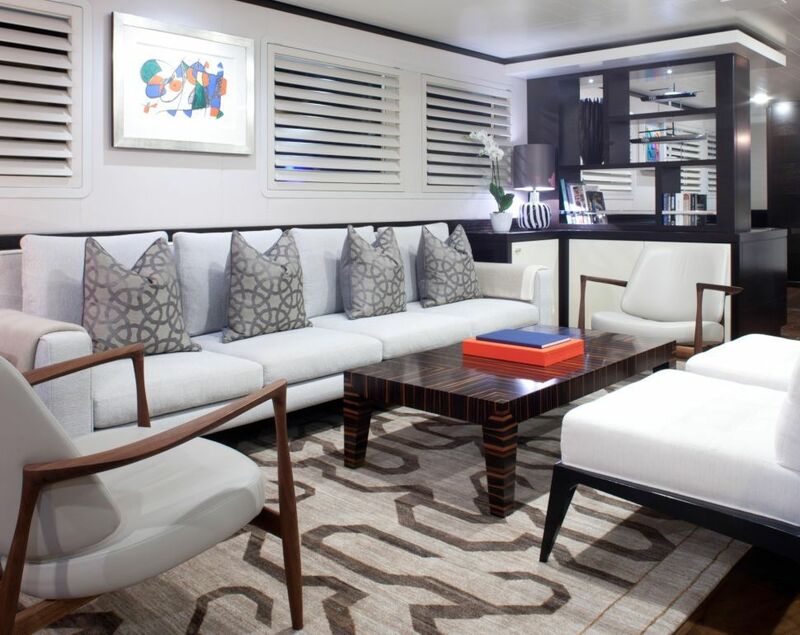 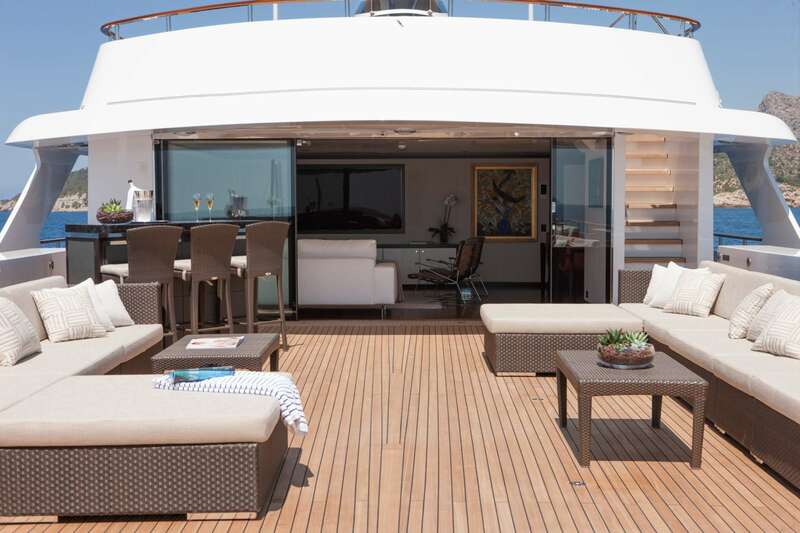 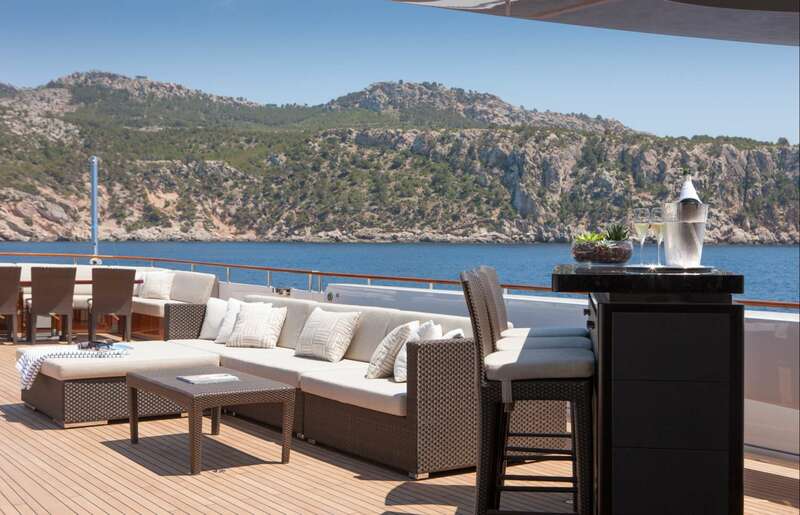 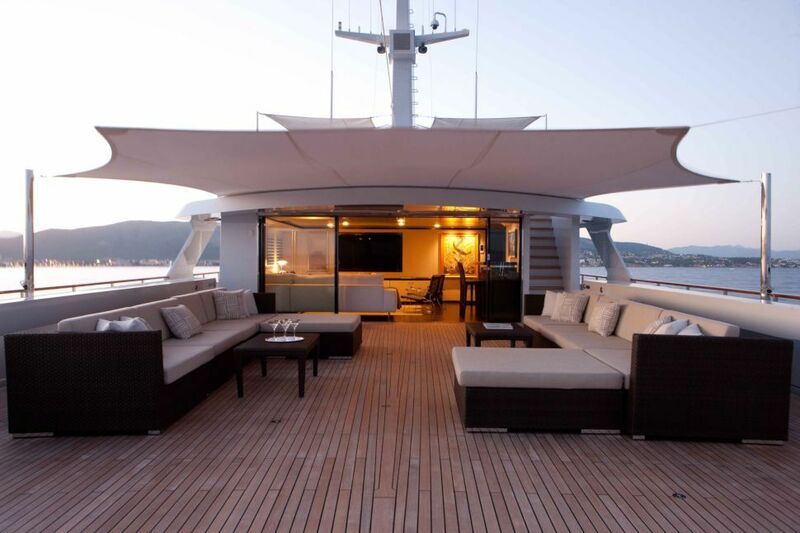 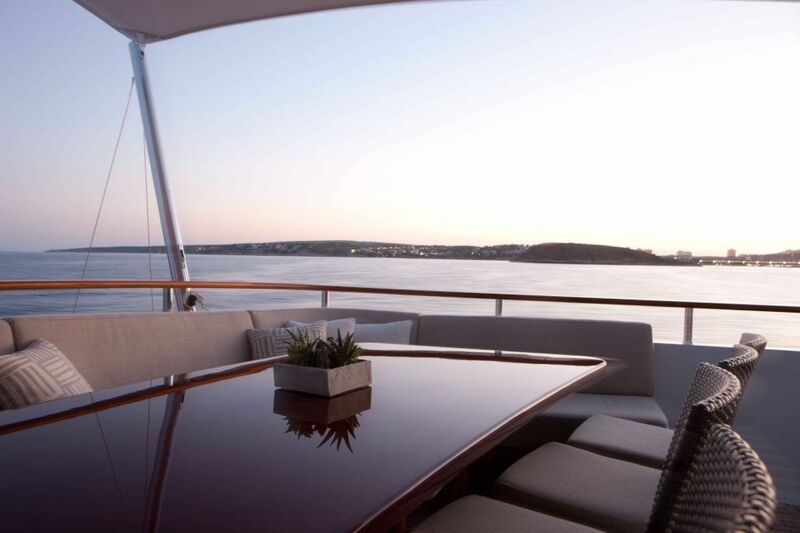 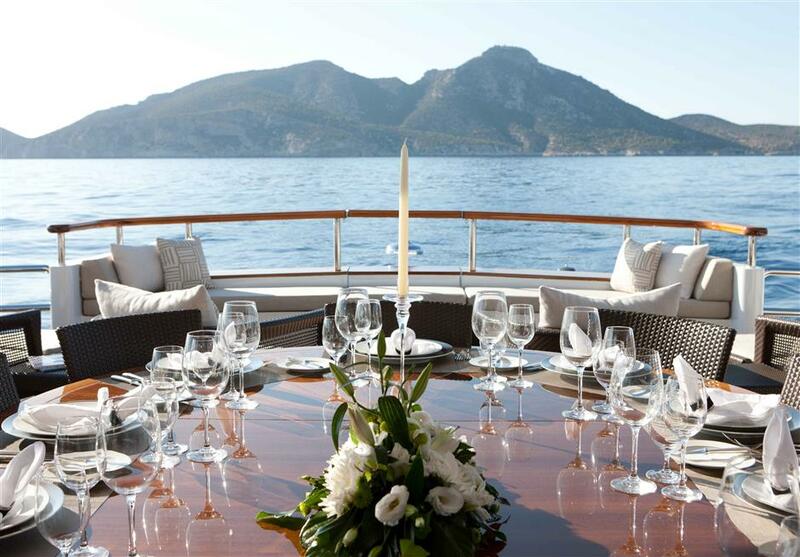 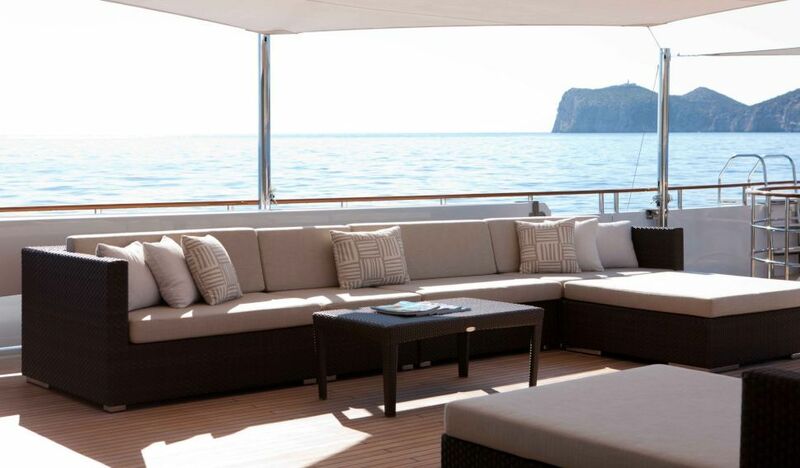 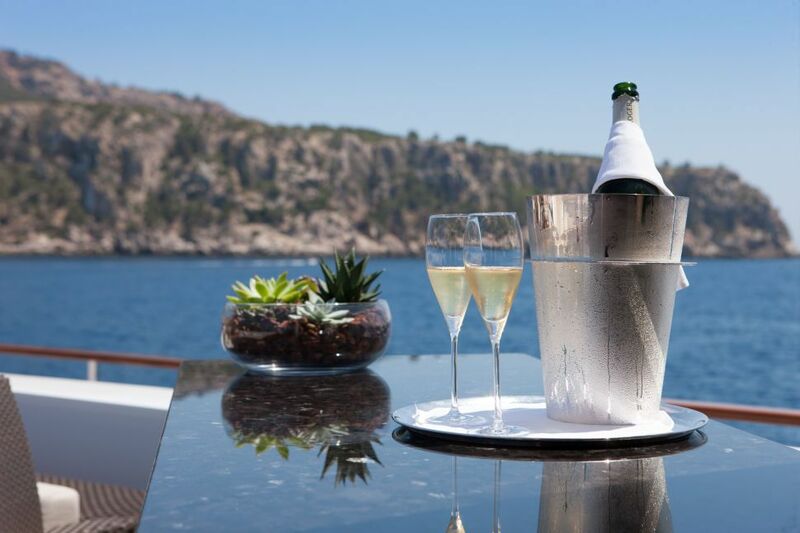 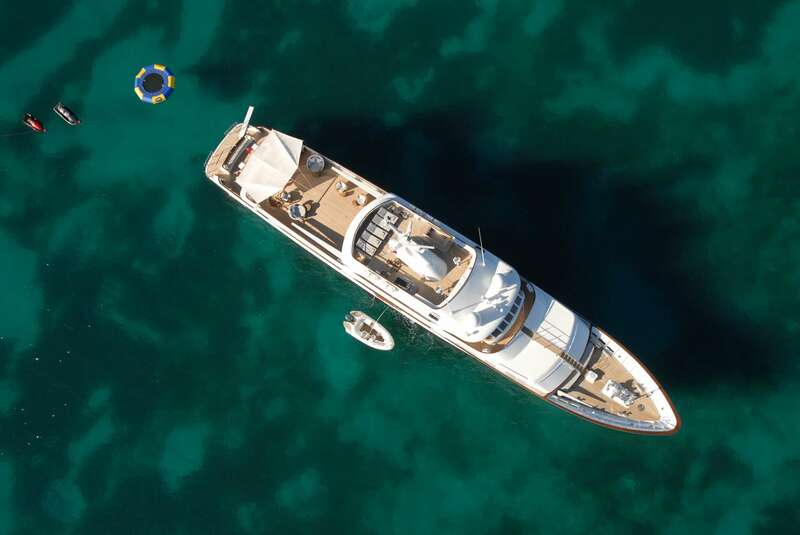 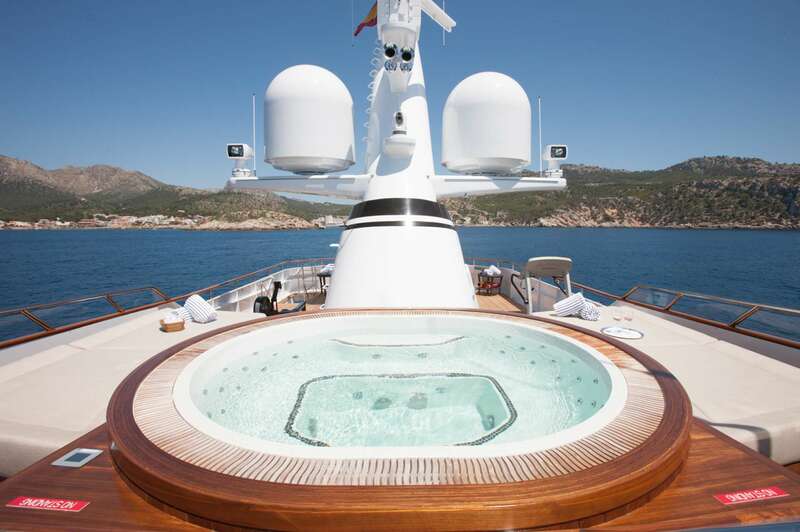 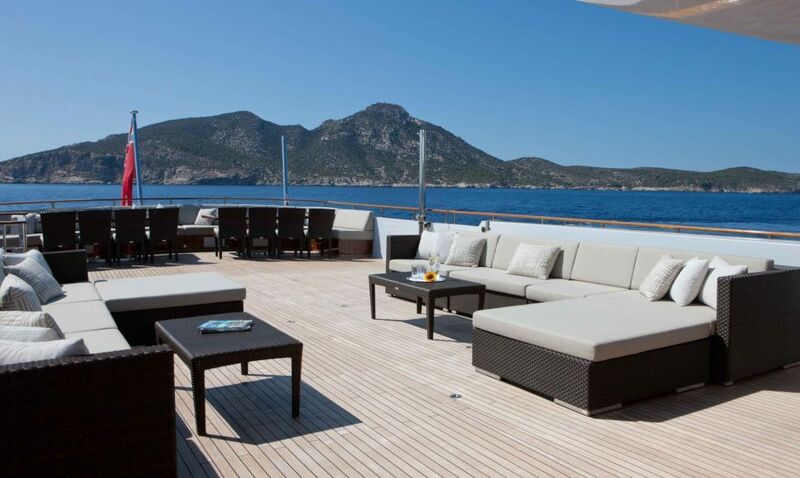 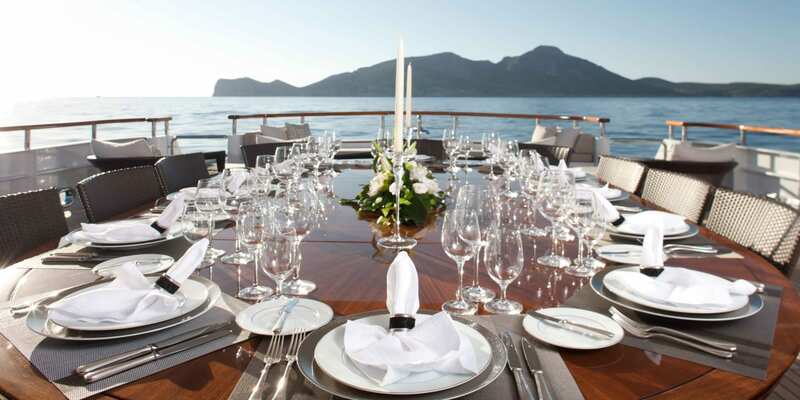 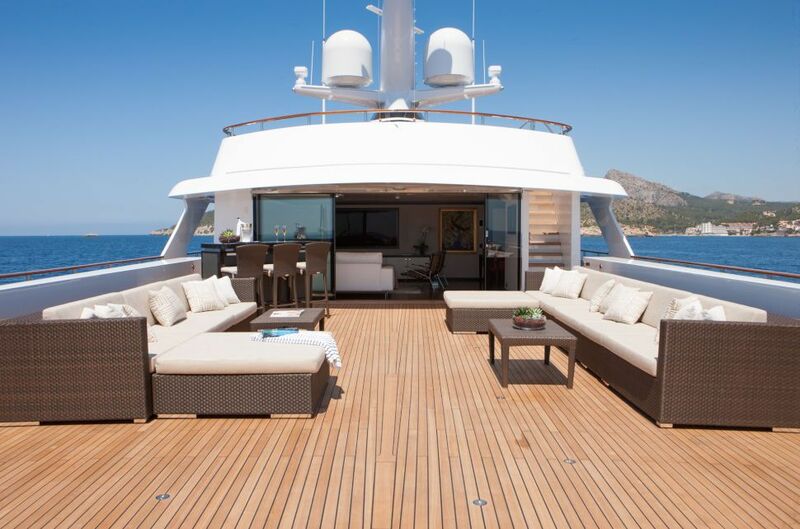 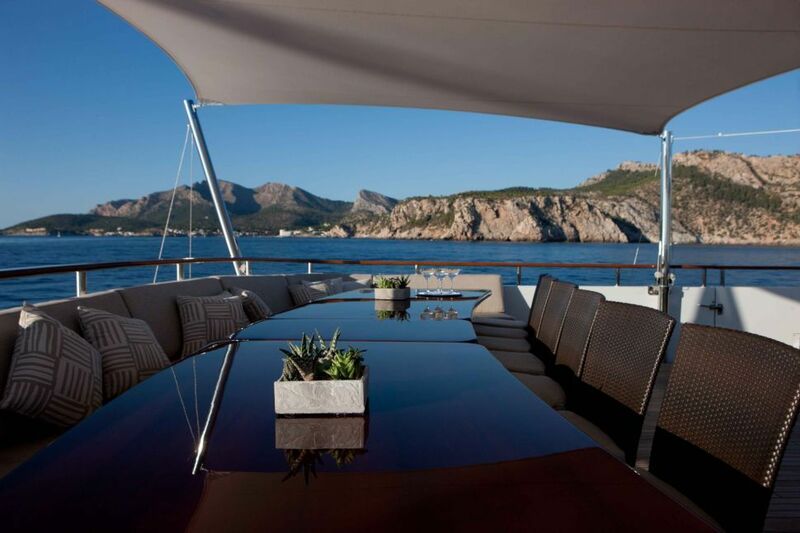 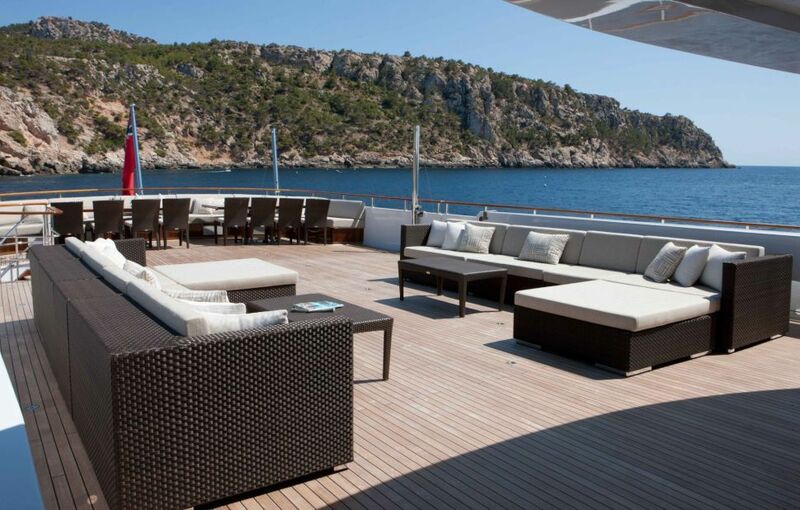 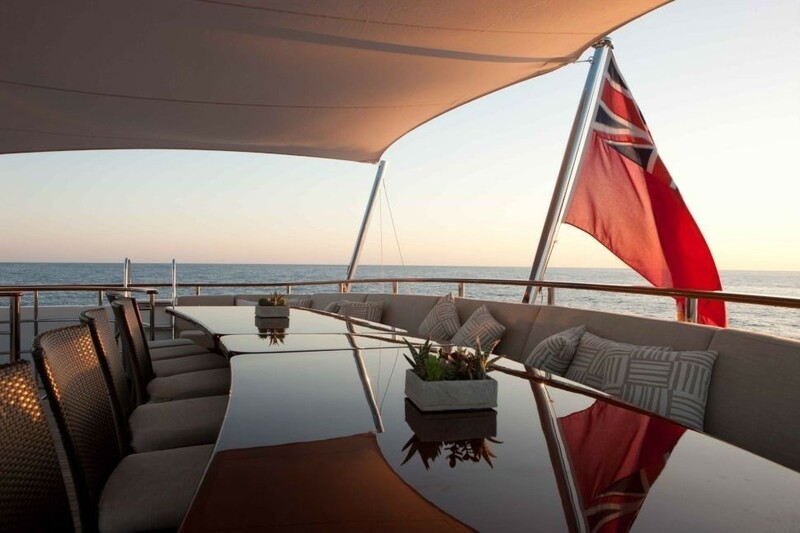 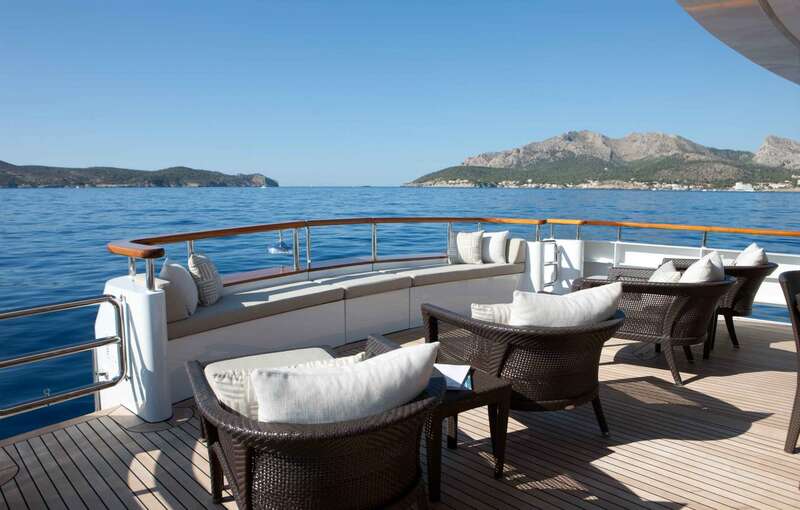 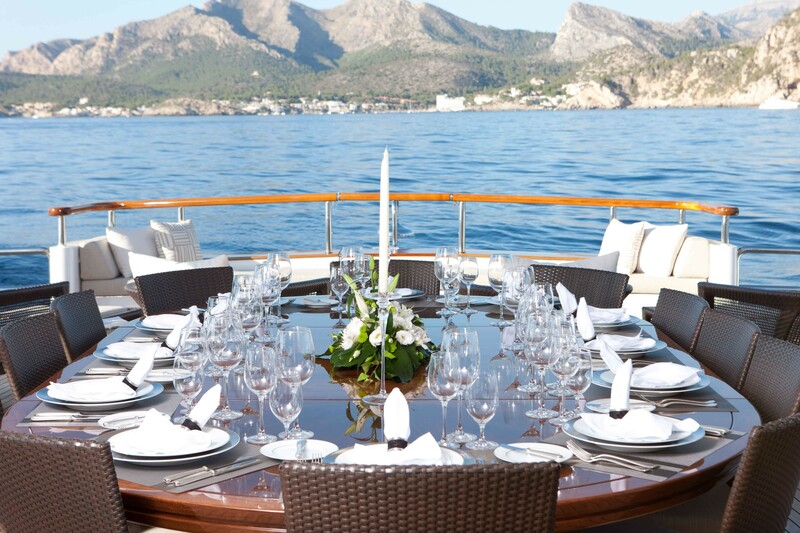 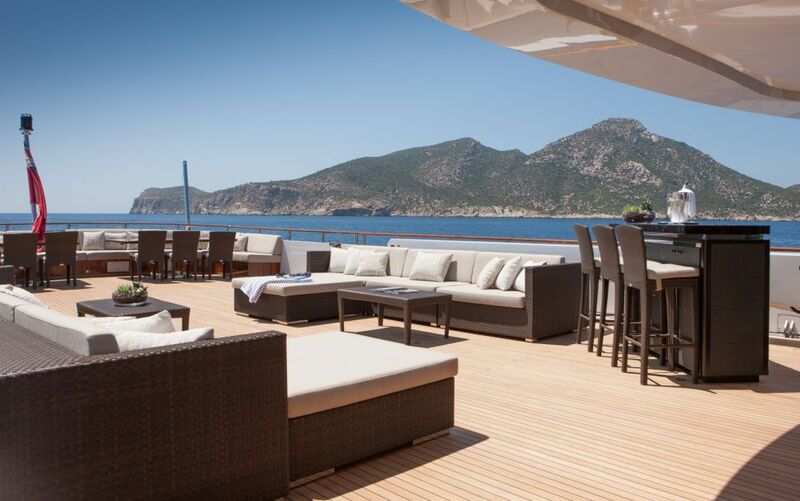 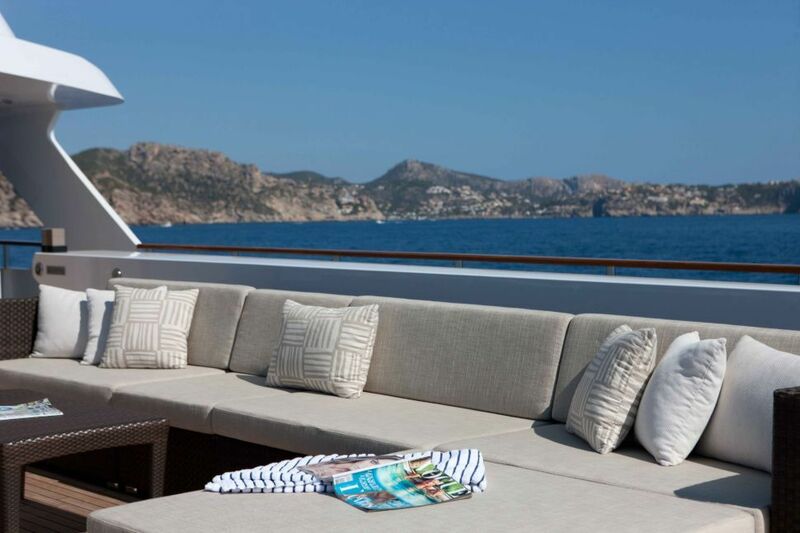 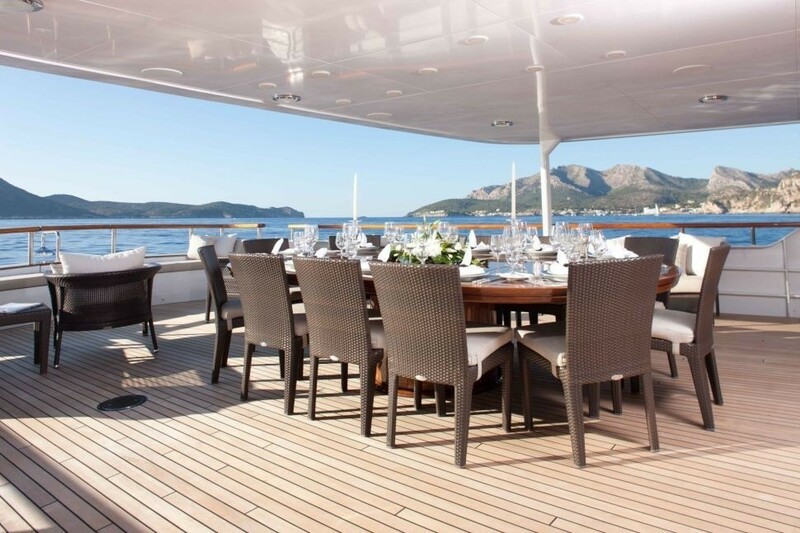 Yacht MIRAGE offers a generous deck plan; the aft deck features an alfresco dining option and cocktail seating, ideal for enjoying a sundowner at the custom built high gloss wet bar. 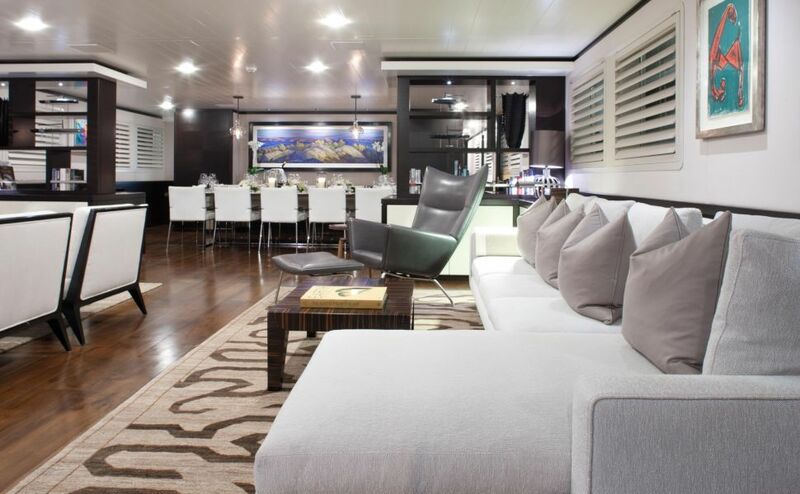 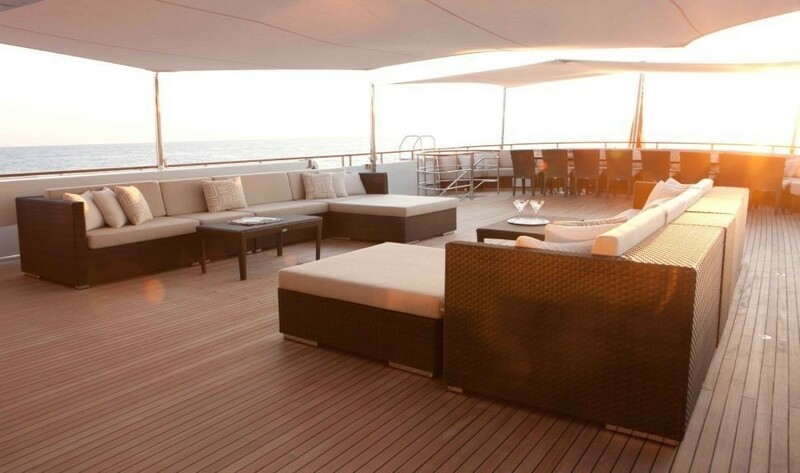 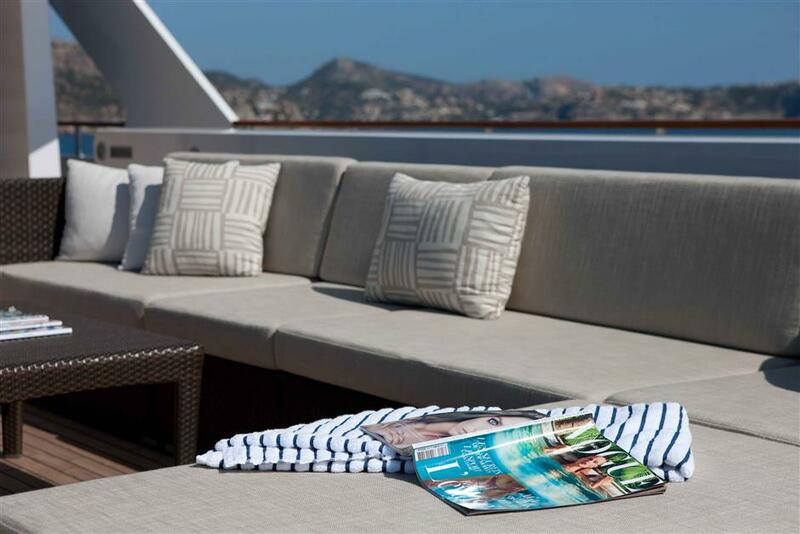 Above the main deck, the sundeck is roomy and open with an alfresco dining option, removable Bimini cover and extra comfortable lounge chairs. 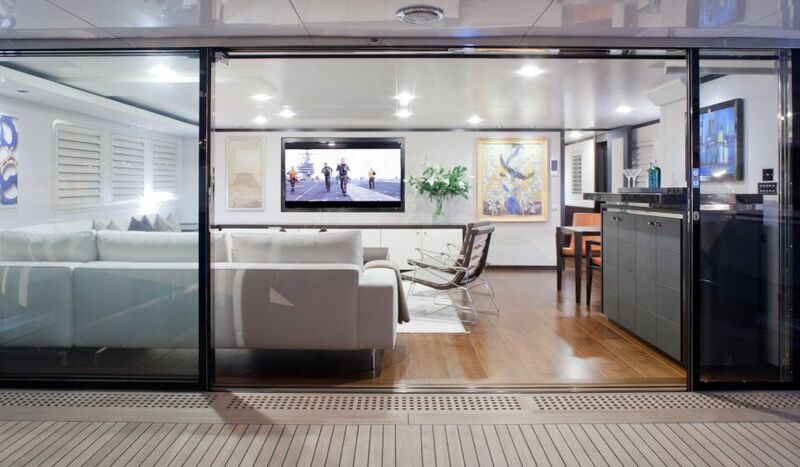 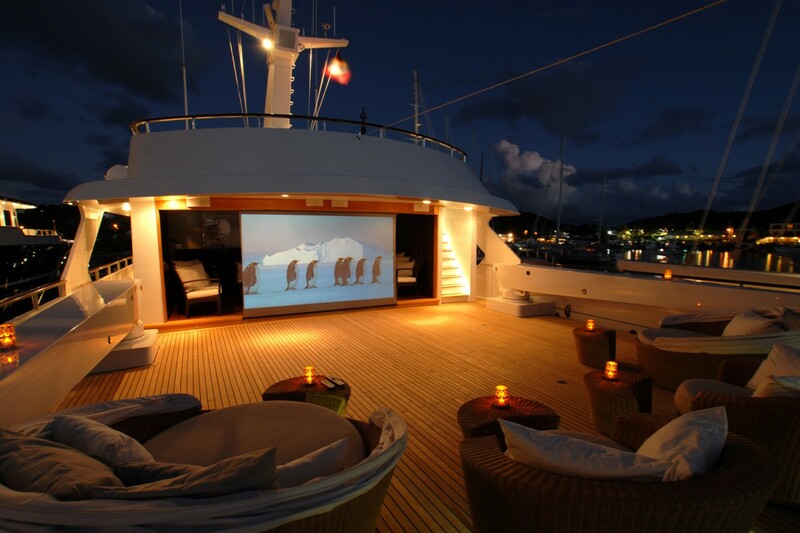 A drop-down projector screen creates an outdoor movie theater under the stars. 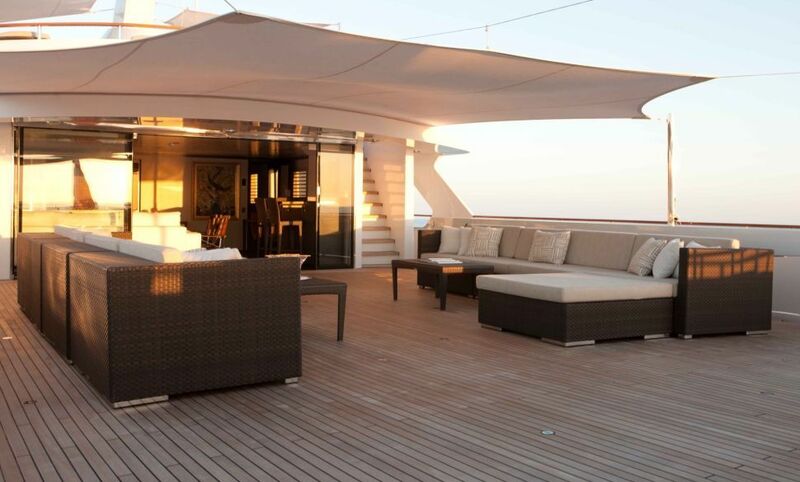 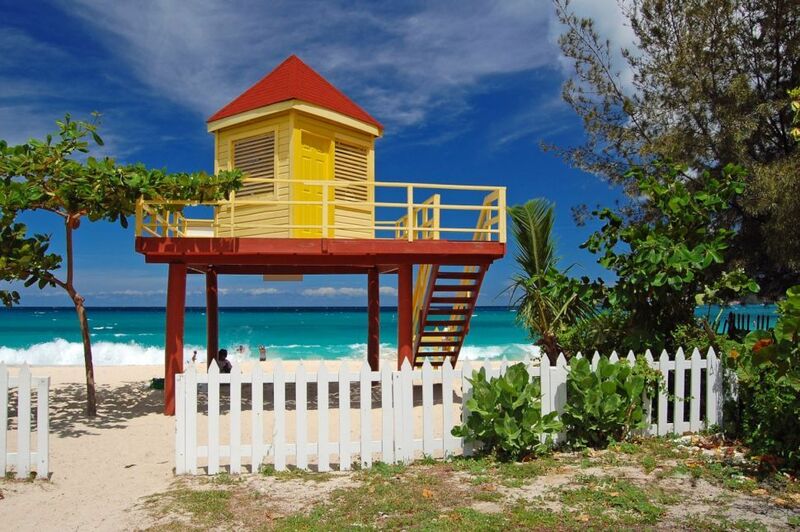 A third deck is slightly more intimate and offers chaise lounges. 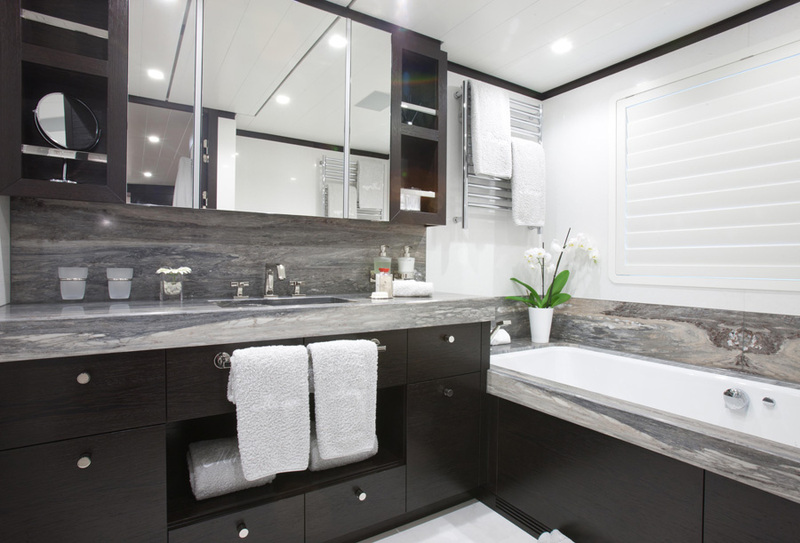 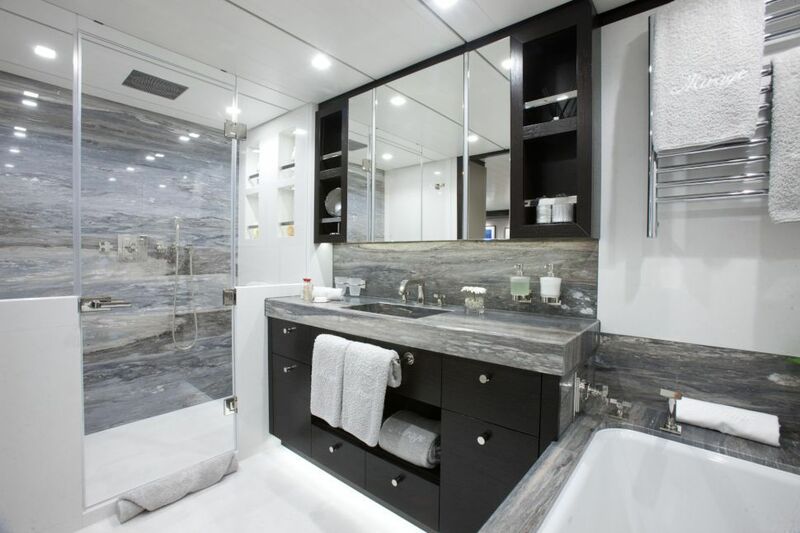 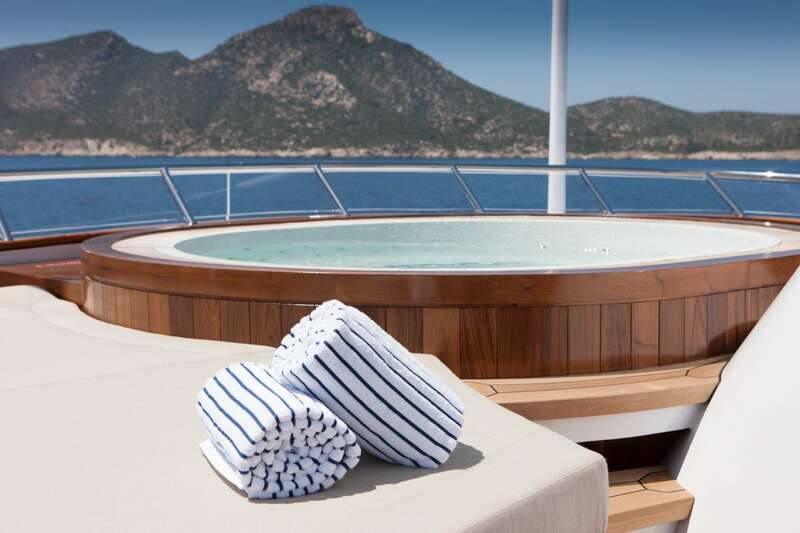 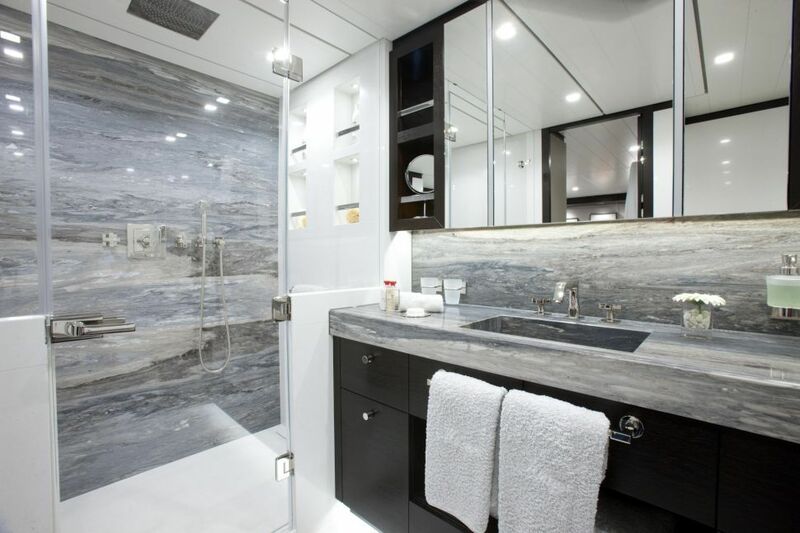 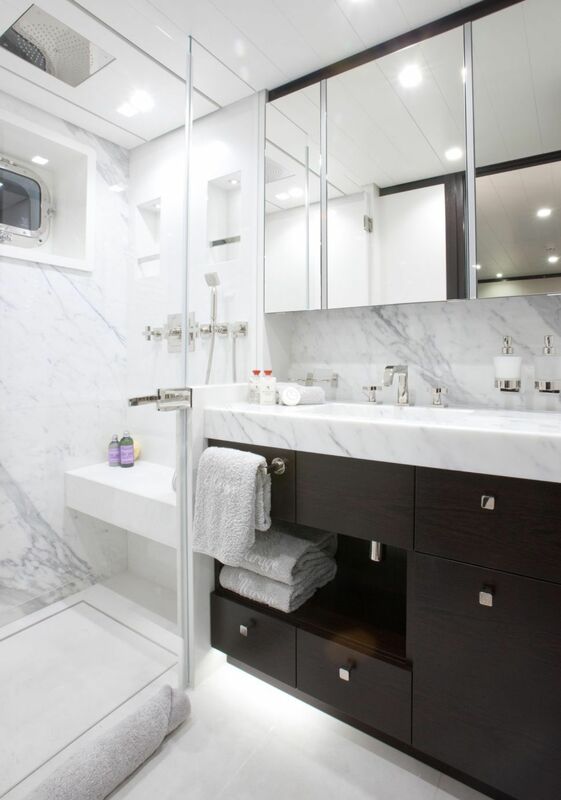 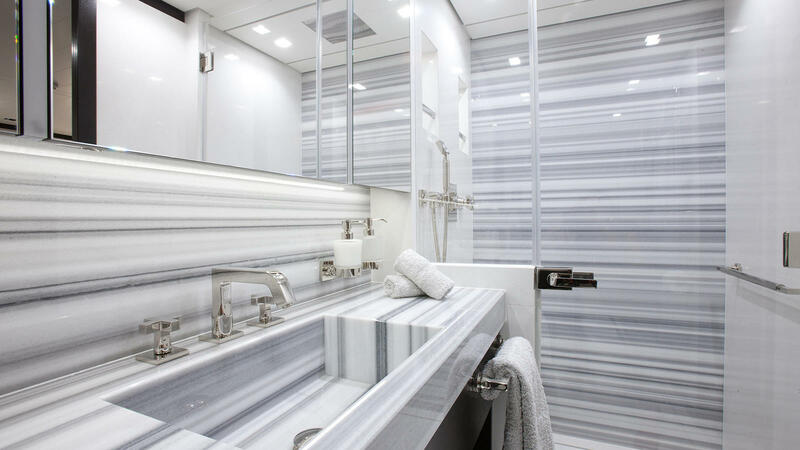 M/Y MIRAGE enjoys a large swim platform and ample water toys, a refreshing rain shower adds to the well thought out space. 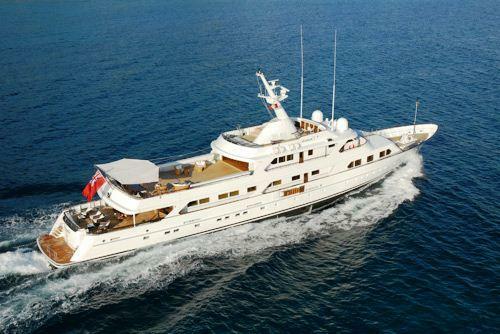 Luxury charter yacht MIRAGE has a beam of 8.9 meters (29.2ft) and a draft of 3.2 meters (10.5ft), the yacht cruises well at 14 knots. 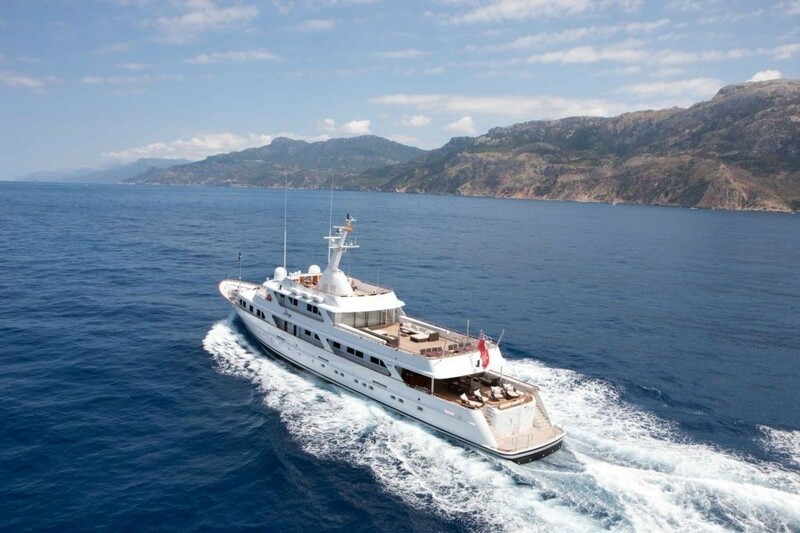 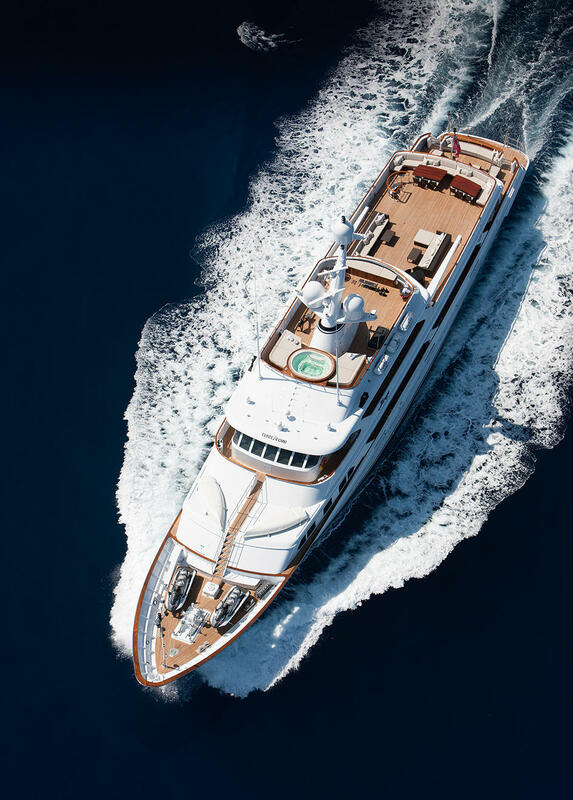 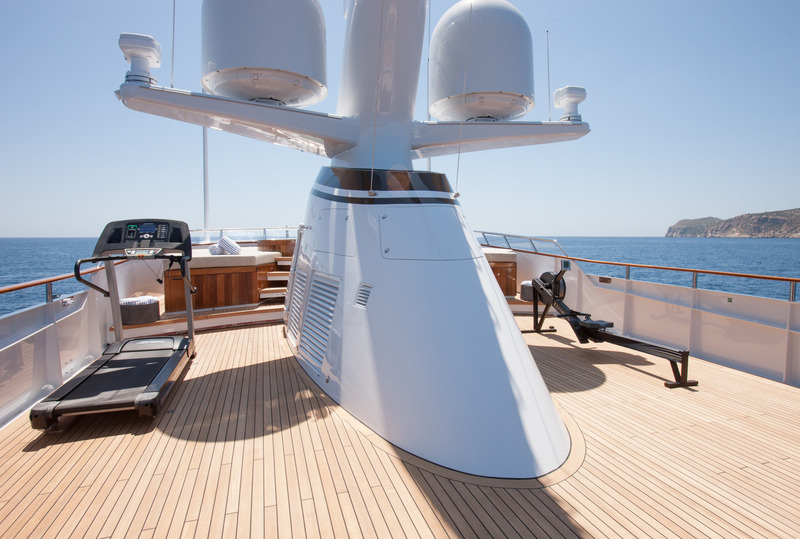 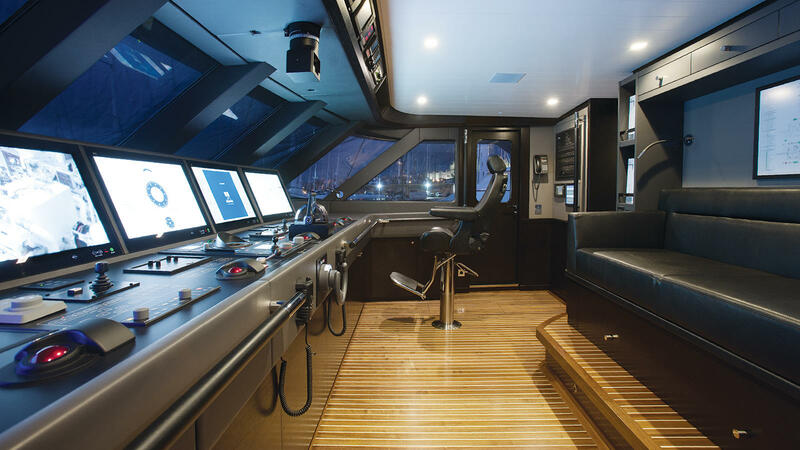 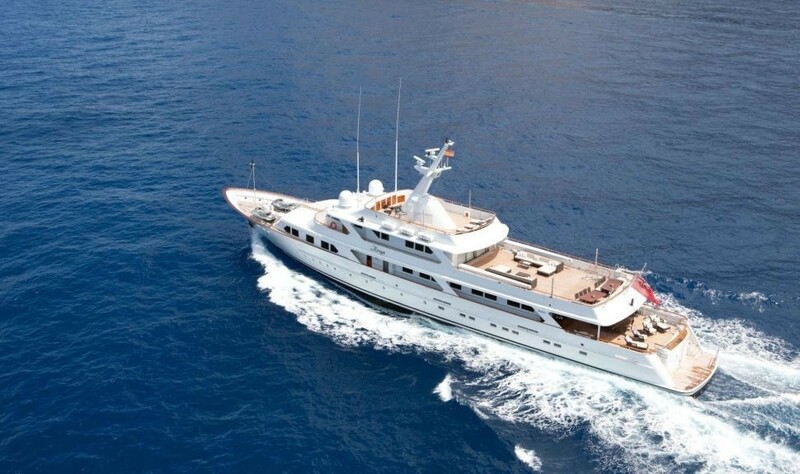 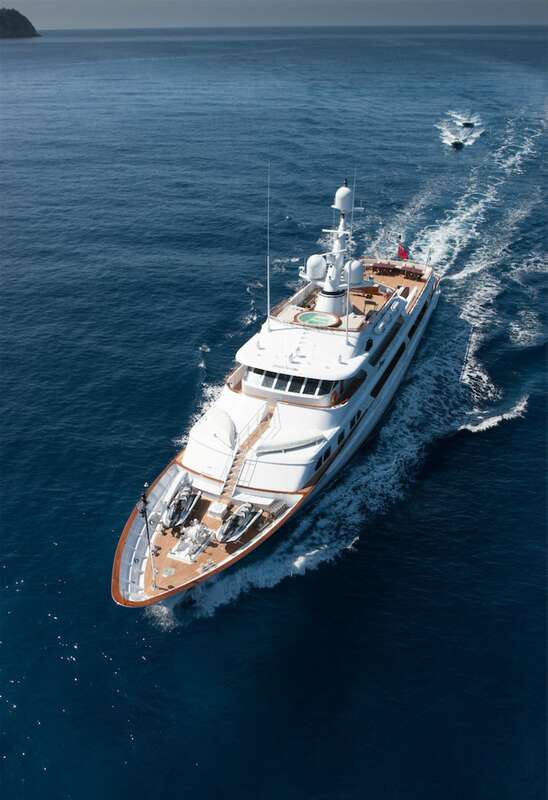 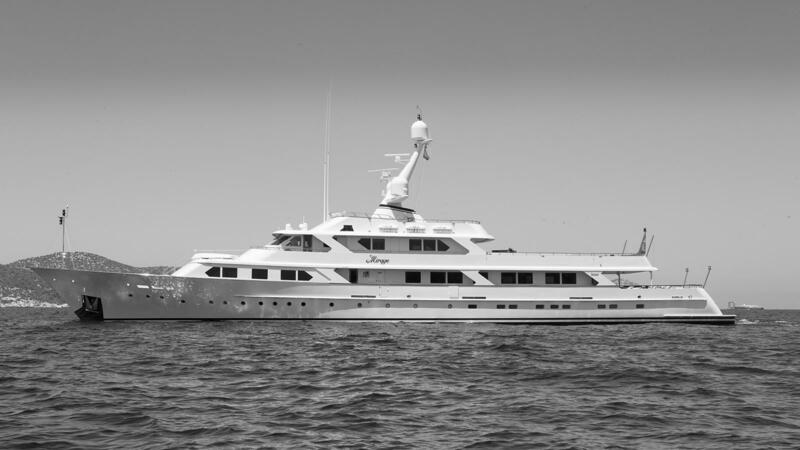 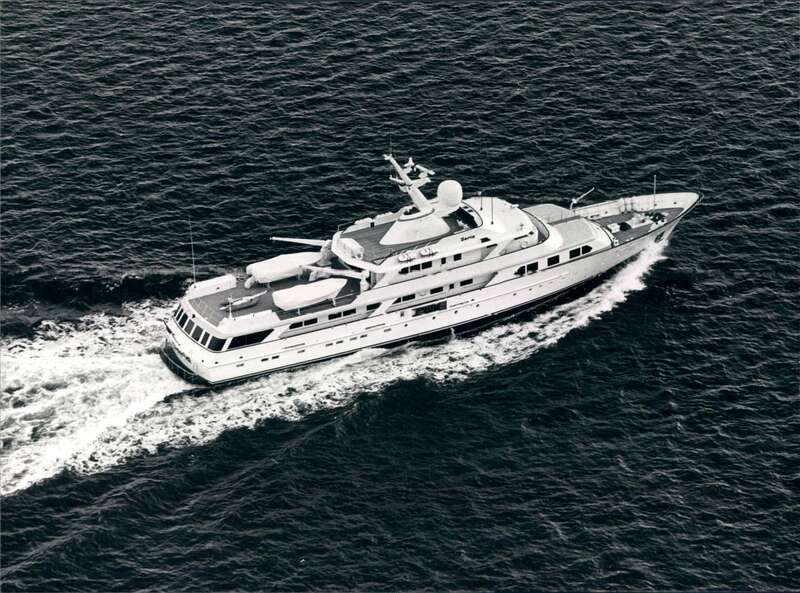 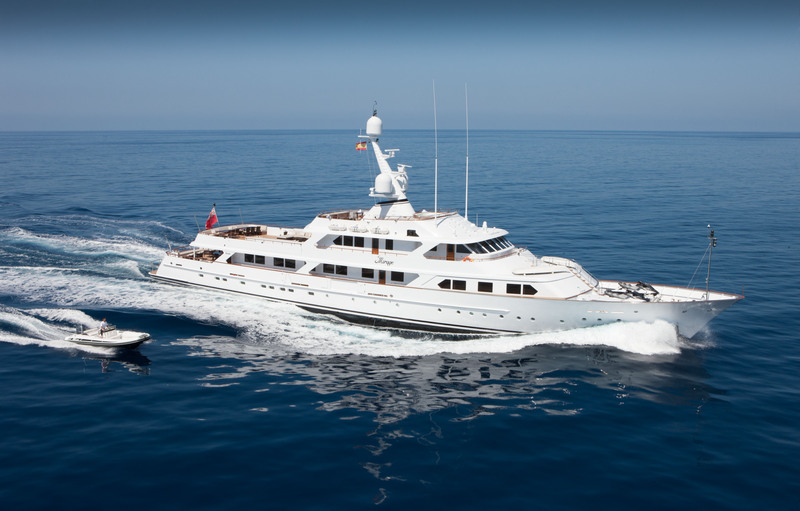 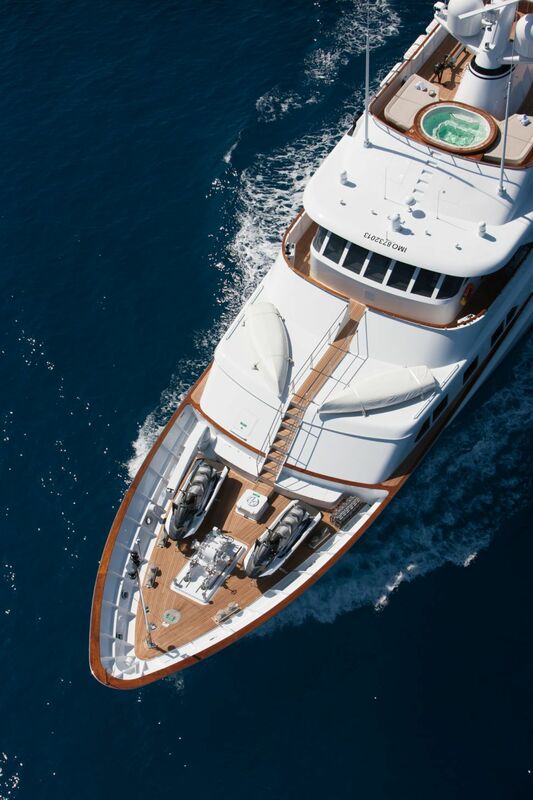 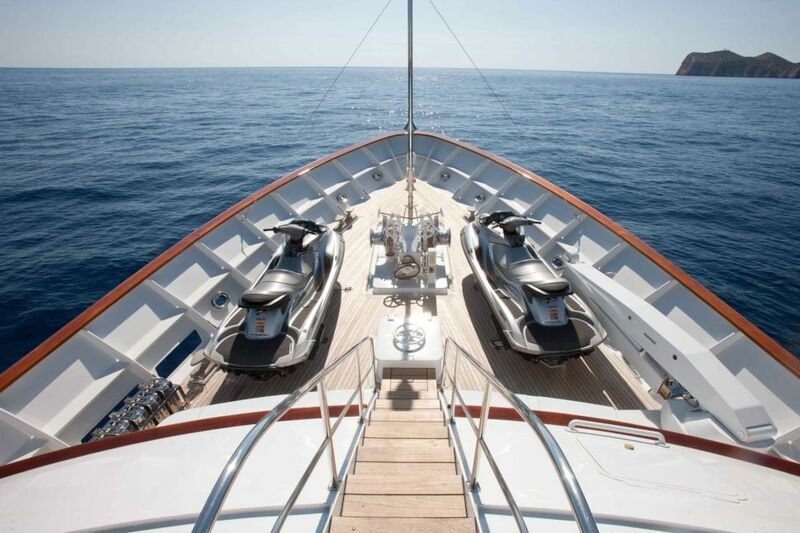 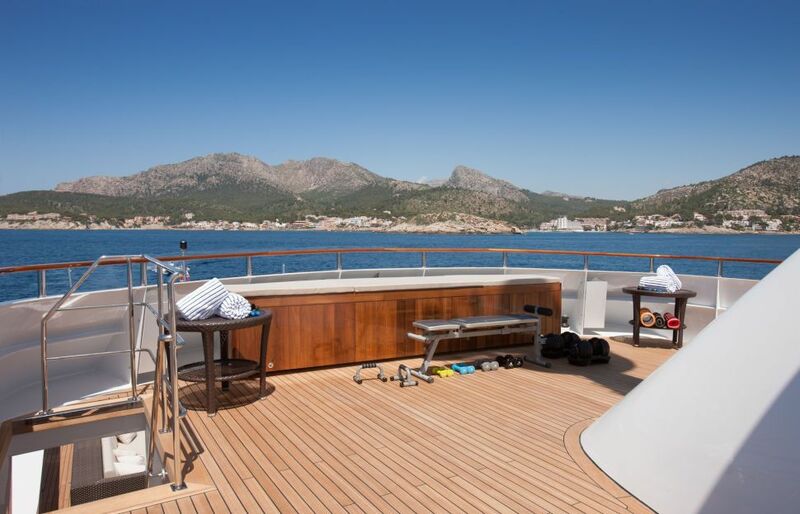 During 2012, 2013, 2014/15 winters, luxury charter yacht MIRAGE by Feadship underwent an extensive refit at the STP Shipyard in Palma, which included a new interior, crew area, housing, communications mast, bridge, engine room, as well as various exterior paint jobs. 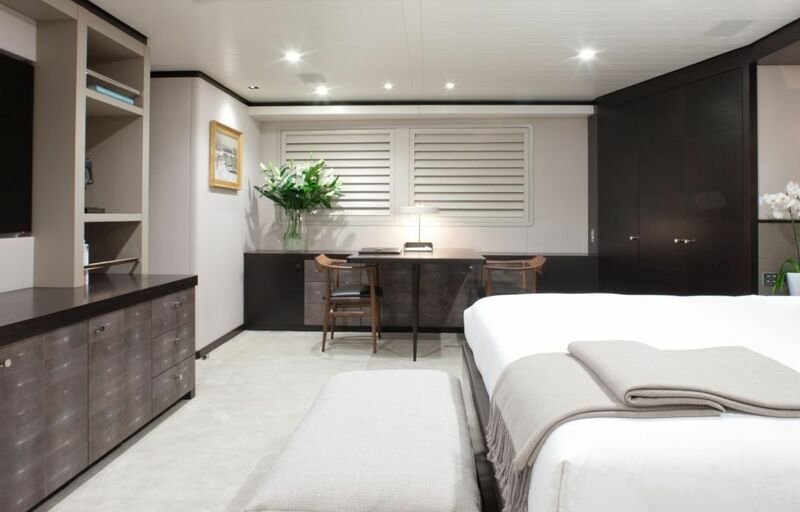 The various stages of this complex refit were carried out during the winter months, while MIRAGE was able to cruise the summer months with her owner or charter guests on board. 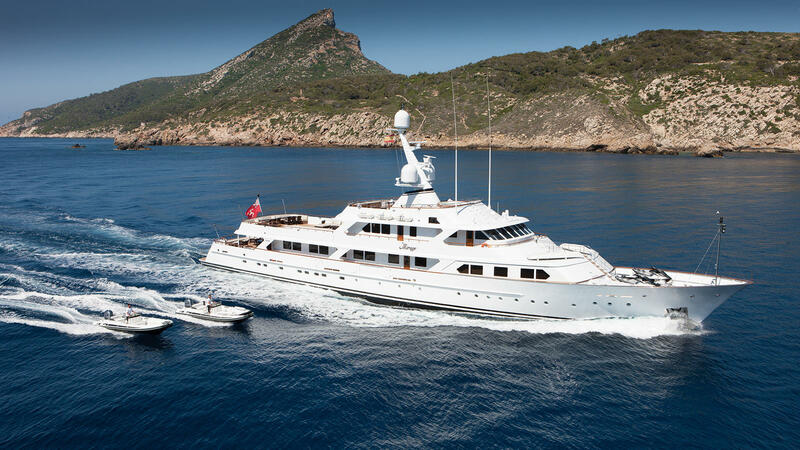 MIRAGE was the winner at the World Superyacht Awards 2016 in the Refitted Yachts category. 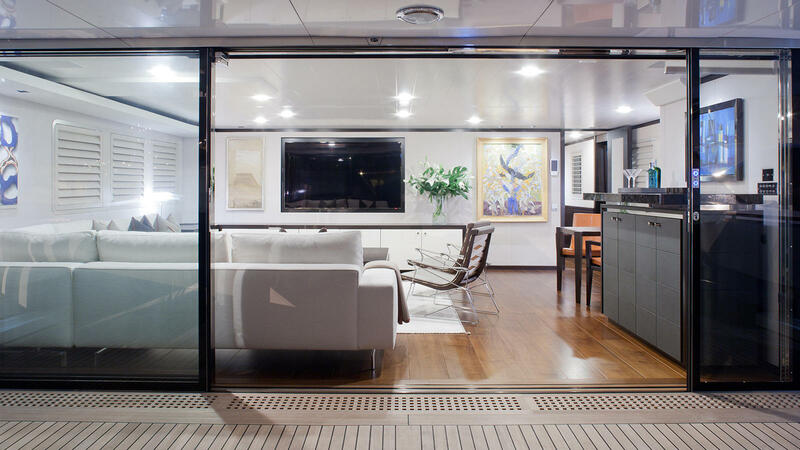 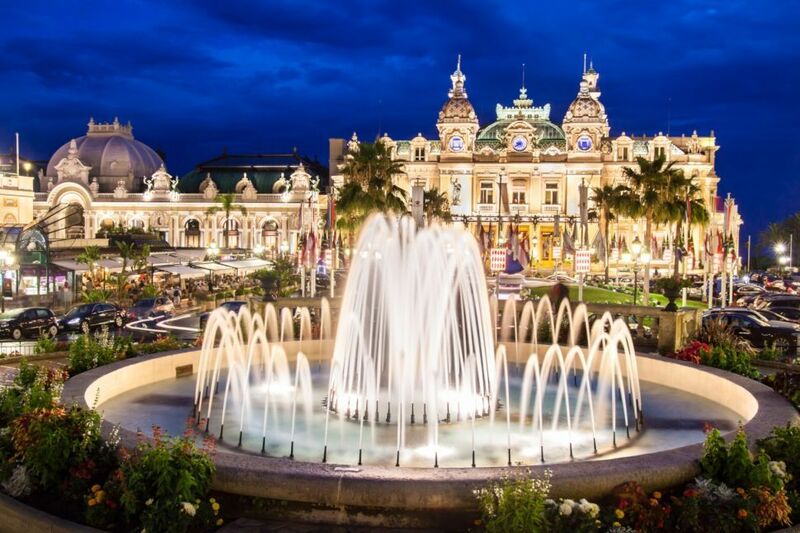 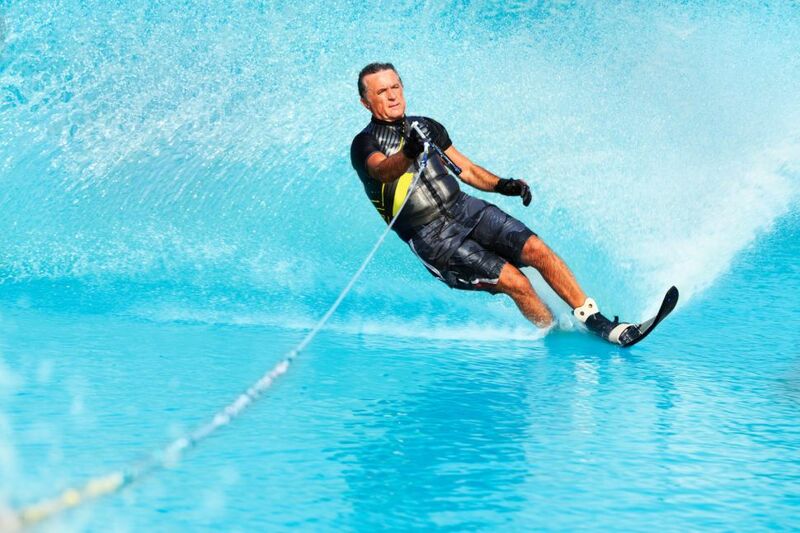 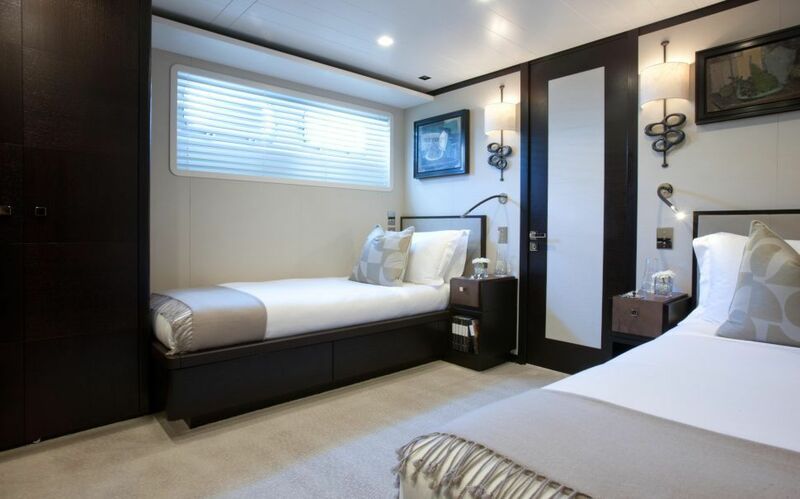 MIRAGE can accommodate 12 guests in 8 cabins. 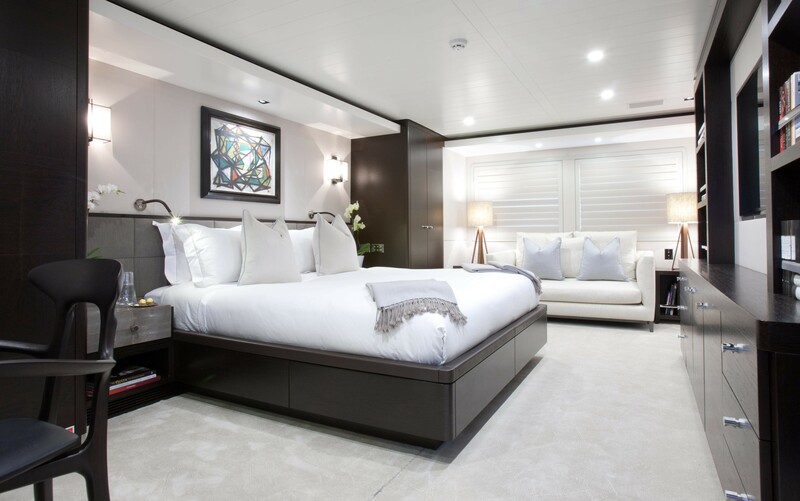 The Master Stateroom is on the main deck and full beam of the yacht, with a cool-toned crushed velvet effect carpet, king size walk around bed, light wood furnishings, desk, lounge, crisp white planked ceilings and boasting spa-like en-suite facility with shower and tub, space is both roomy and inviting. 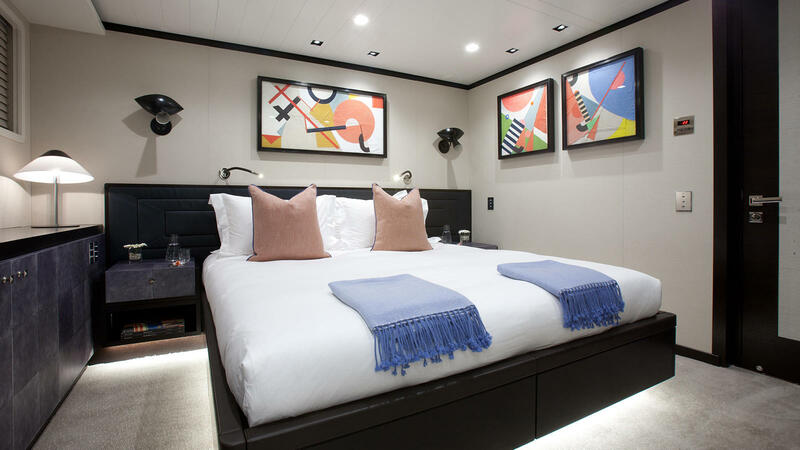 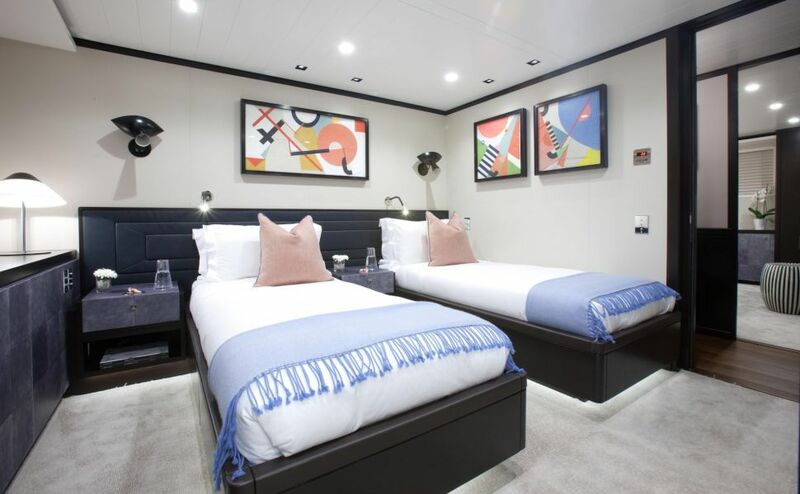 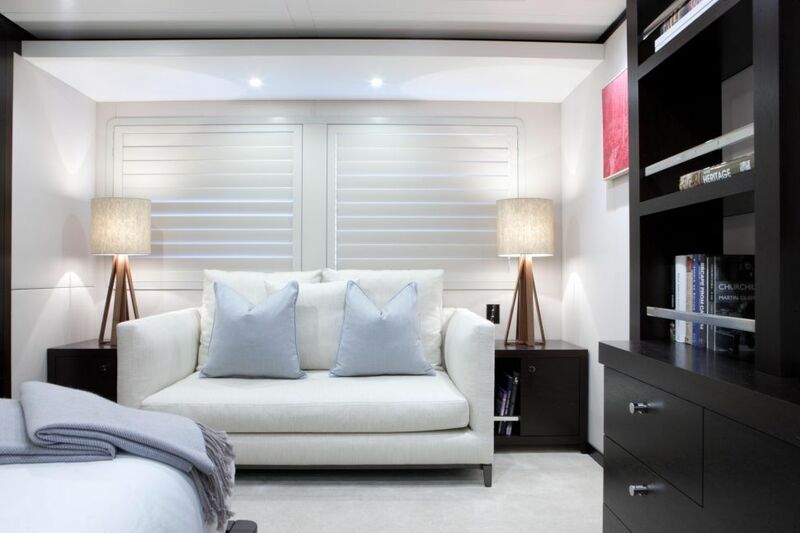 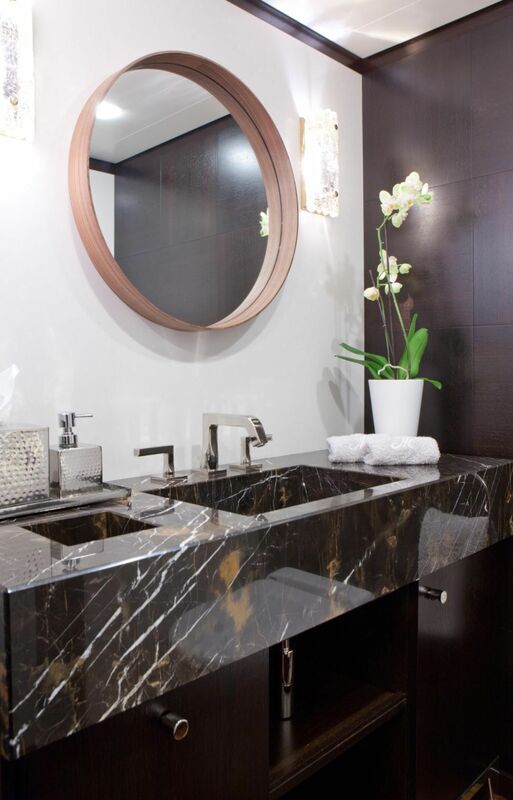 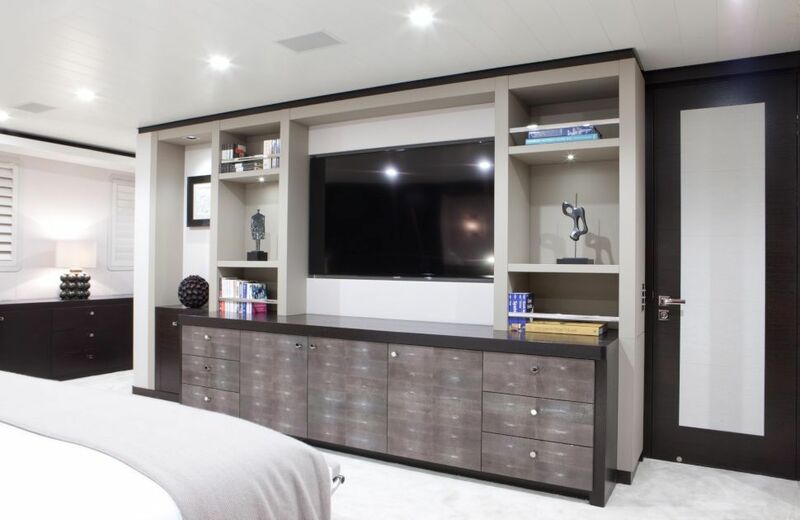 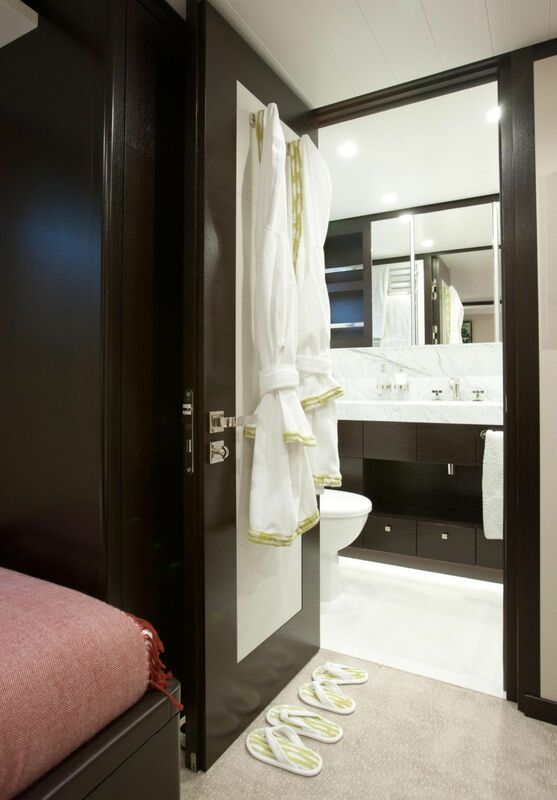 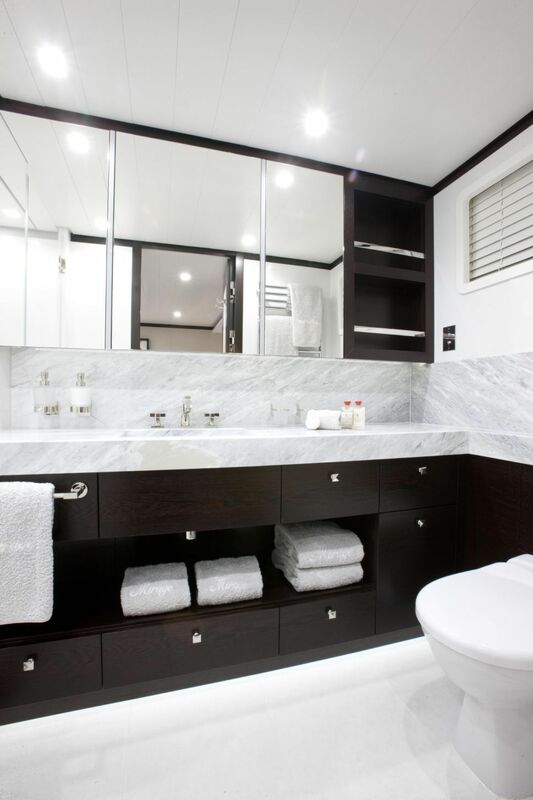 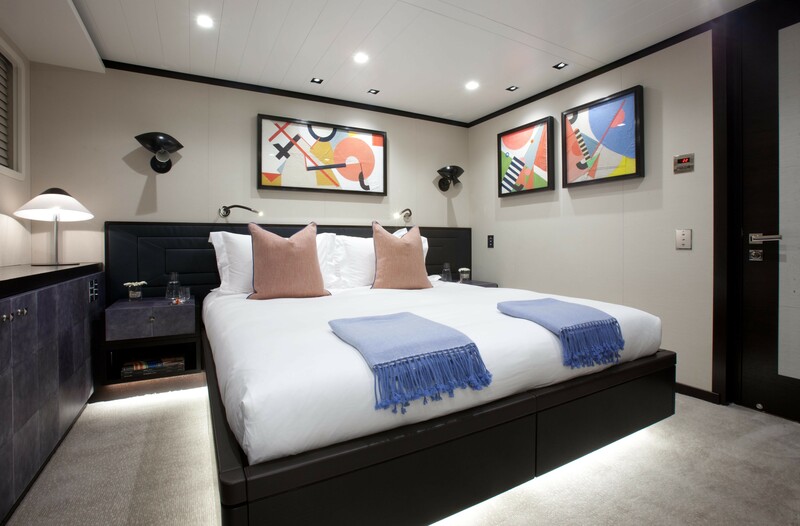 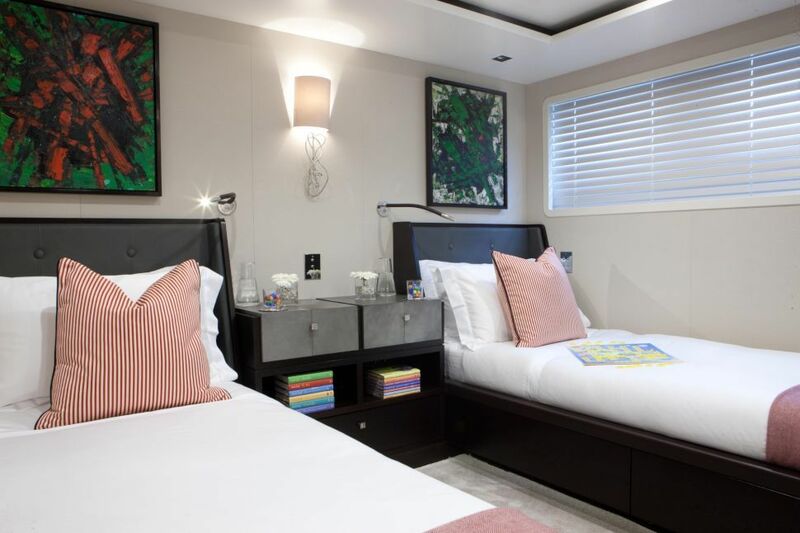 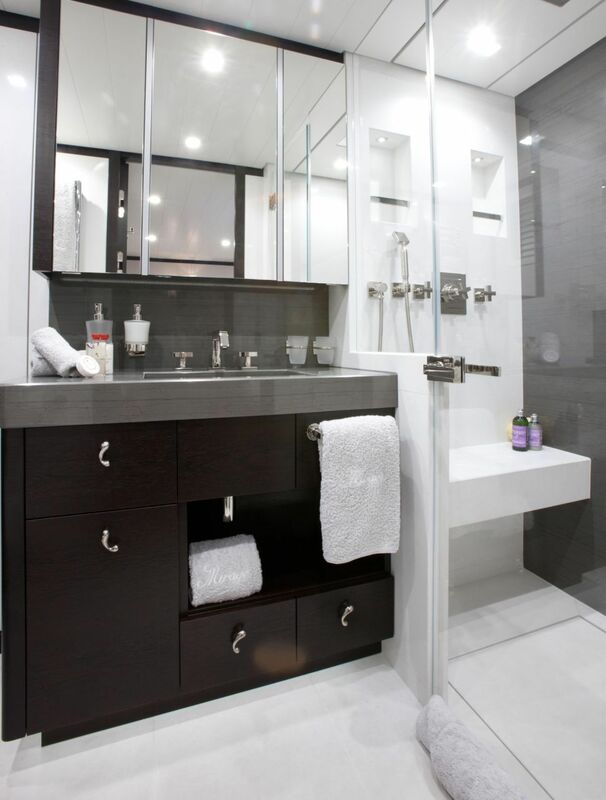 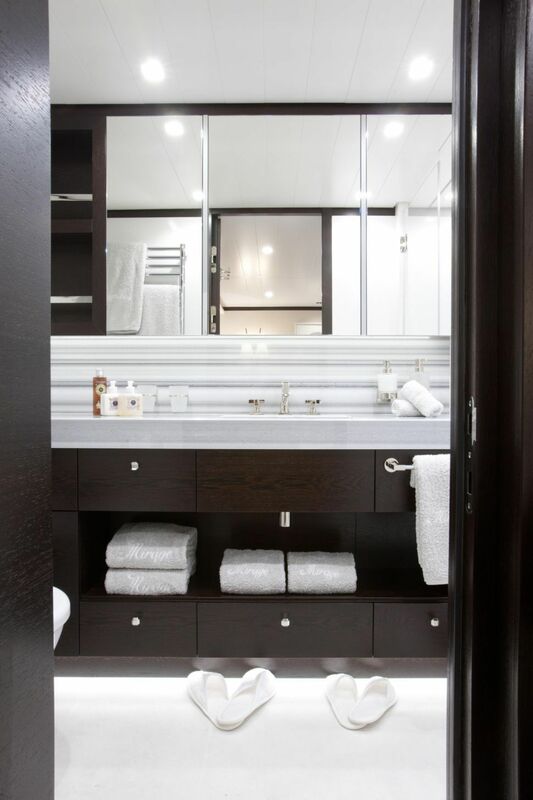 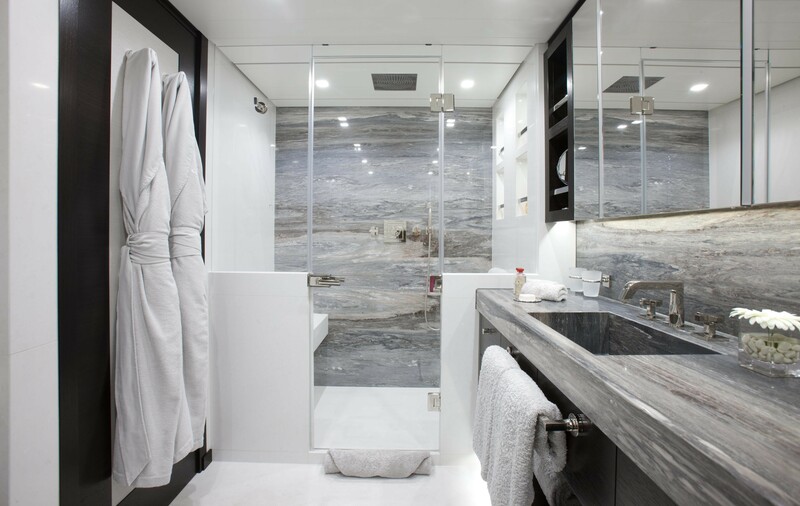 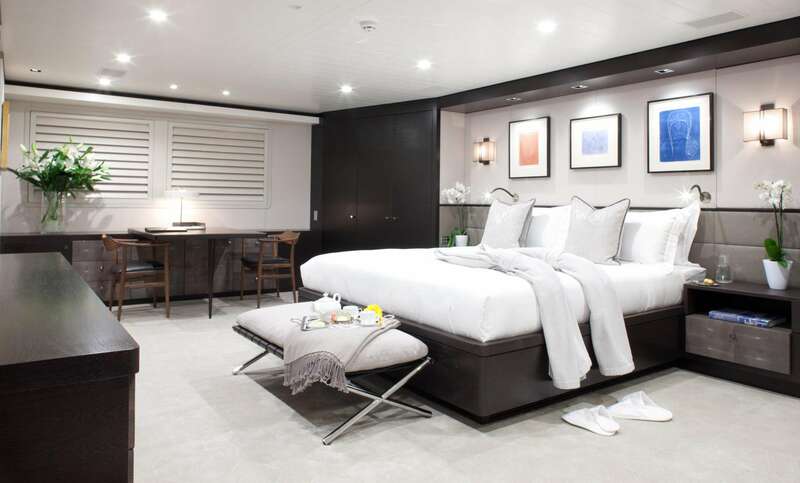 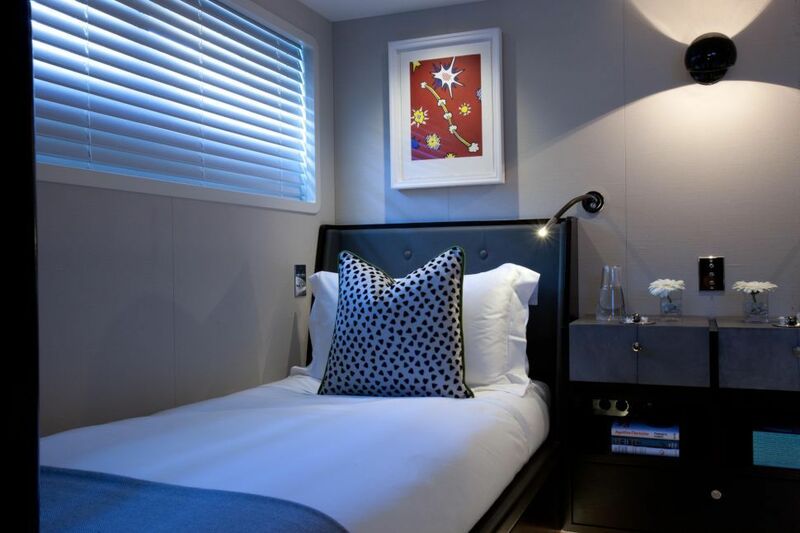 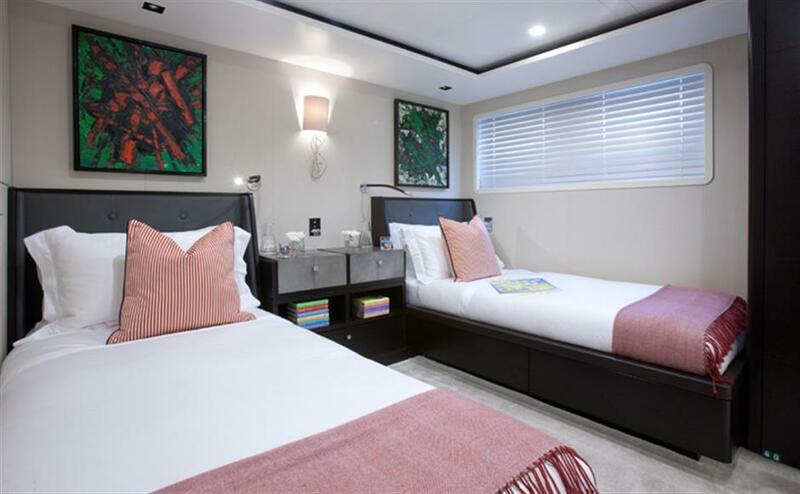 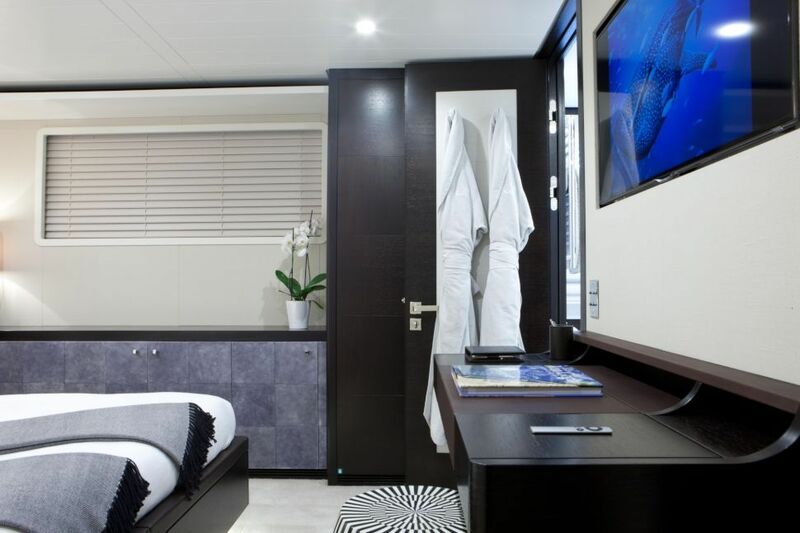 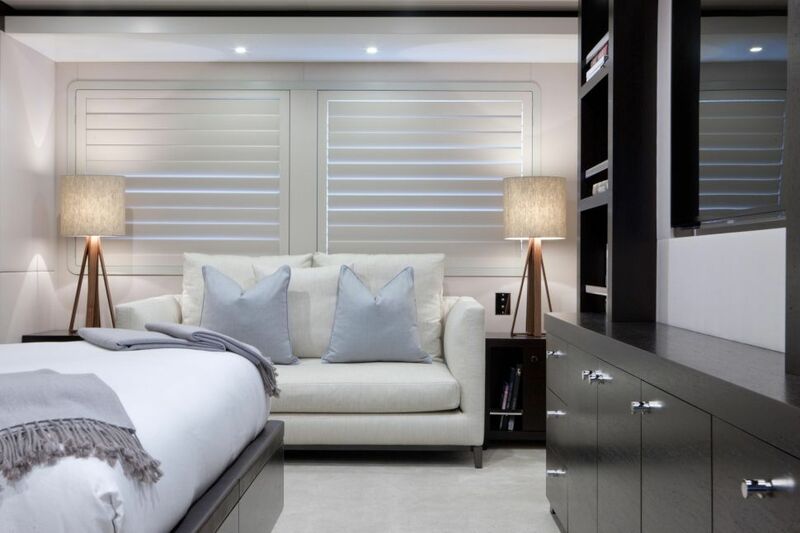 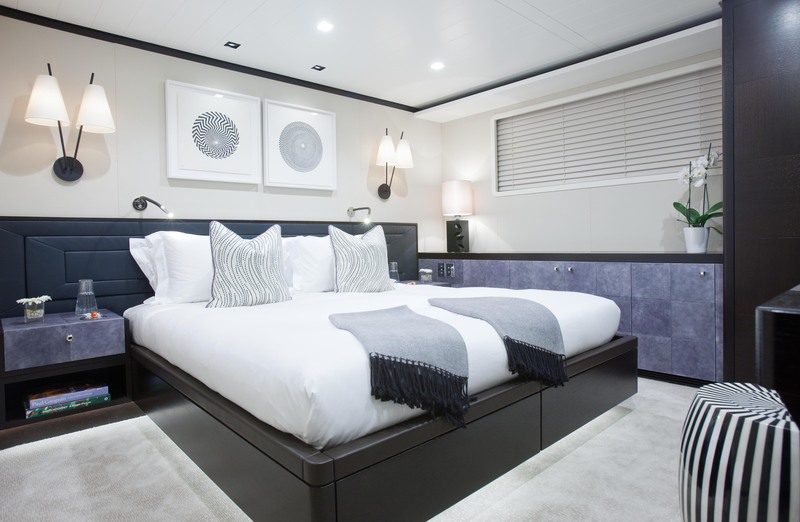 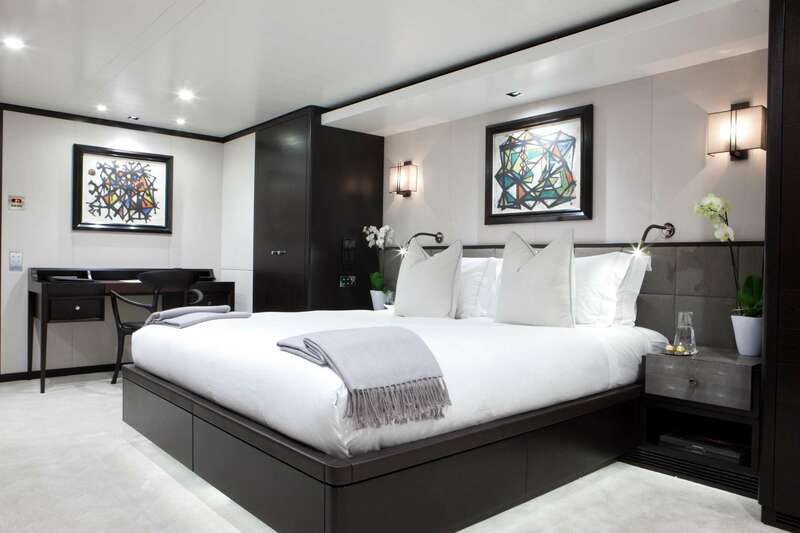 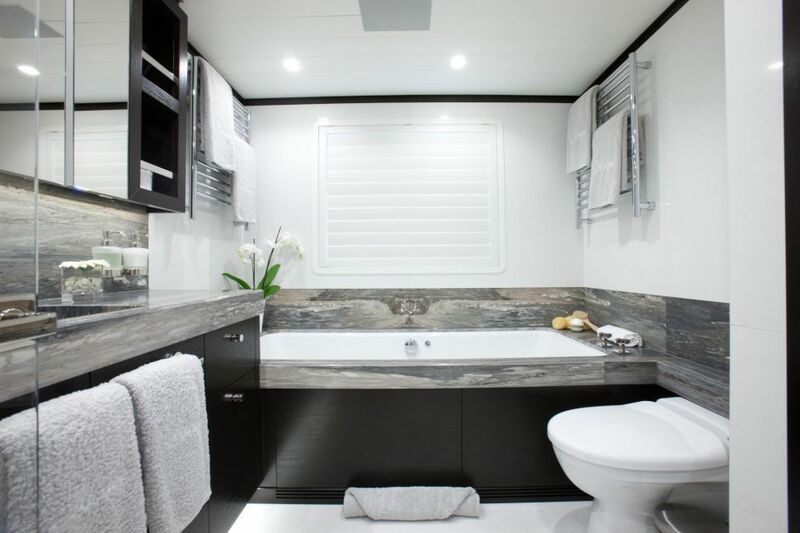 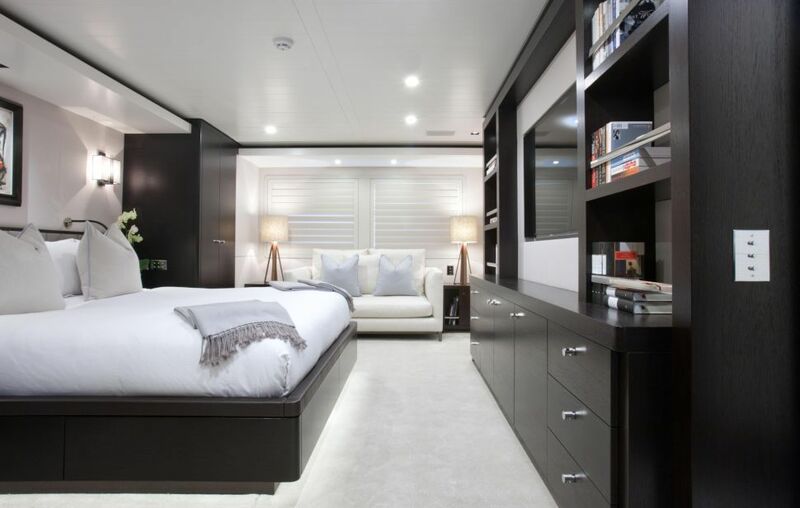 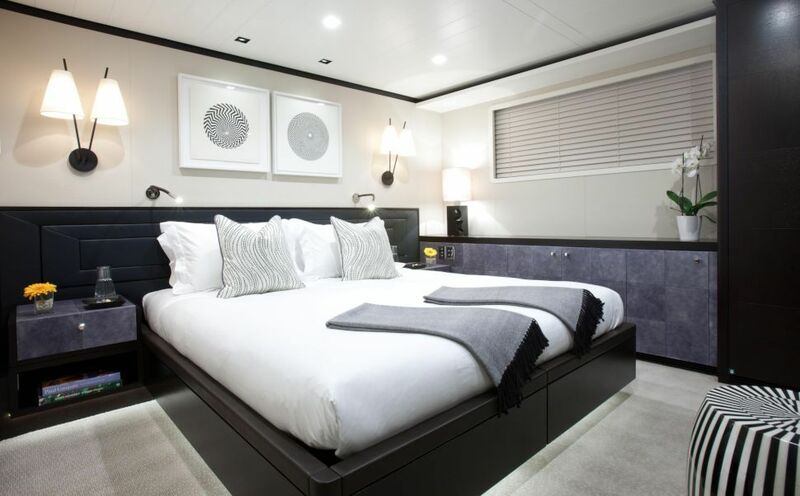 A VIP cabin is on the main deck and features a walk around king size bed, lounge space, mirrored wall and en-suite facilities with spa shower. 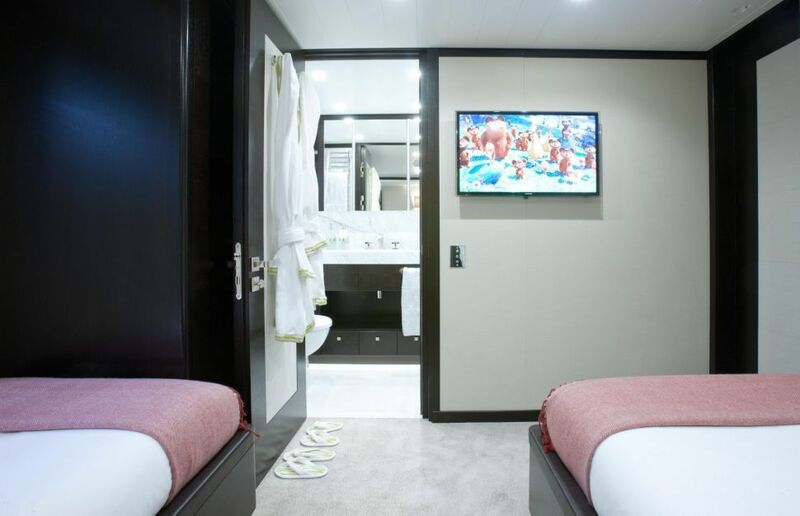 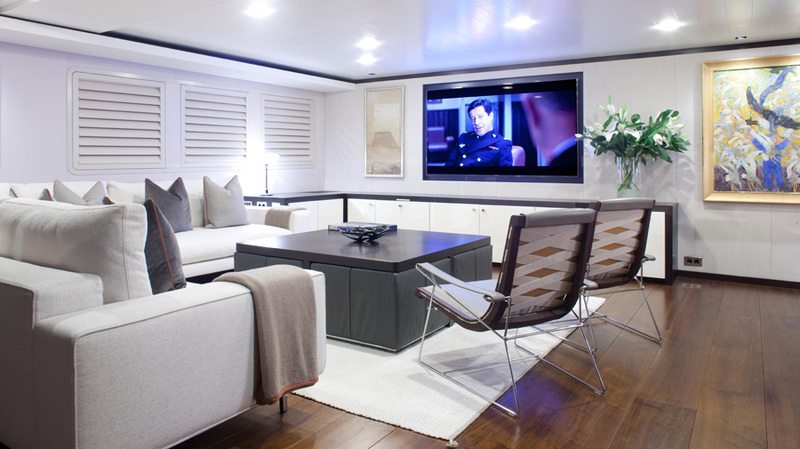 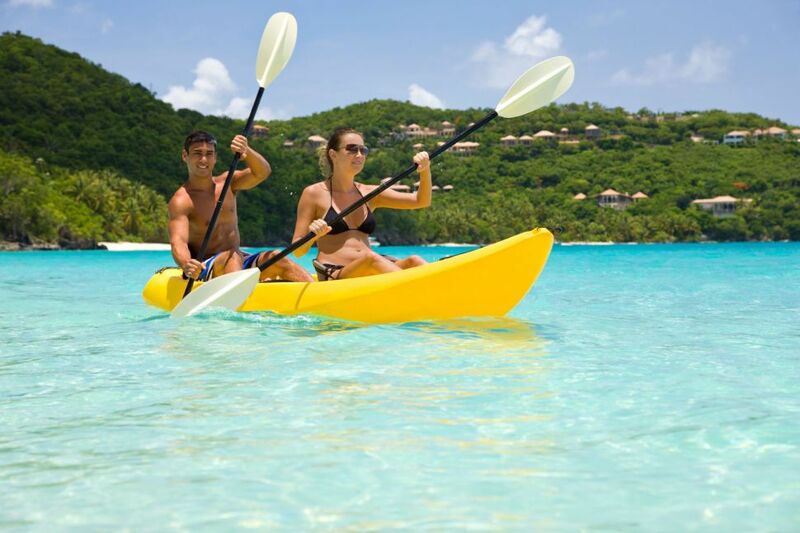 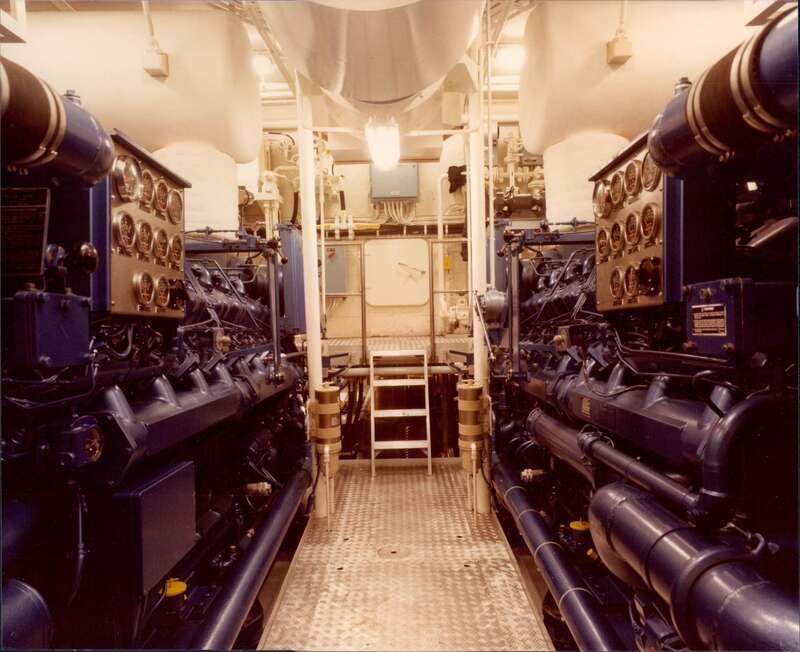 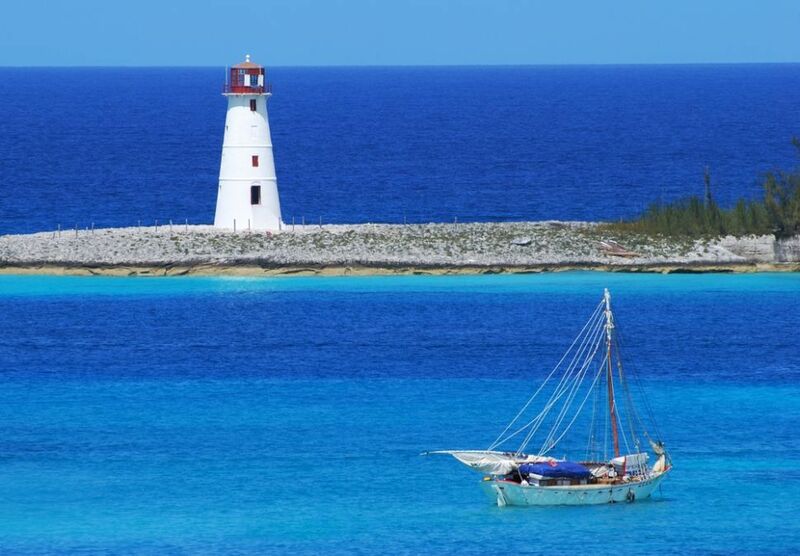 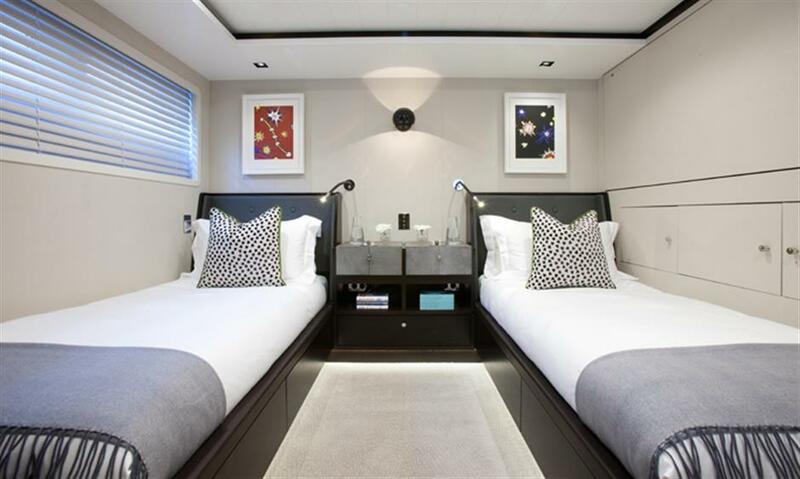 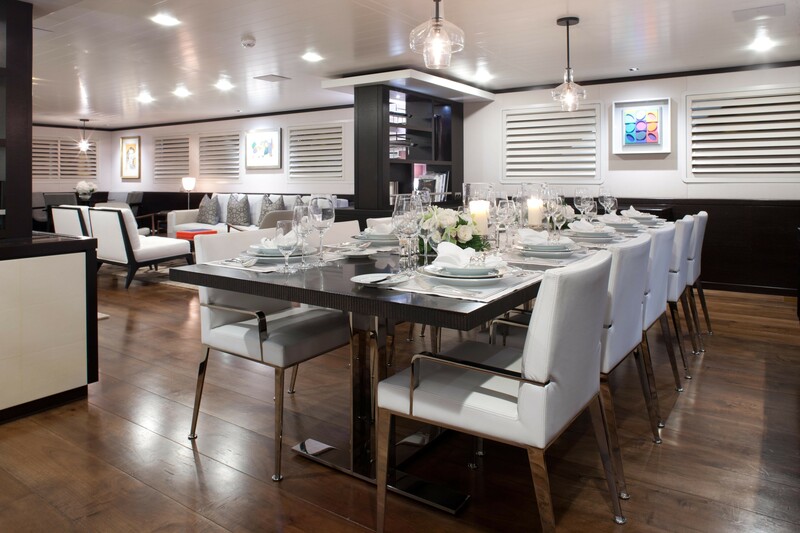 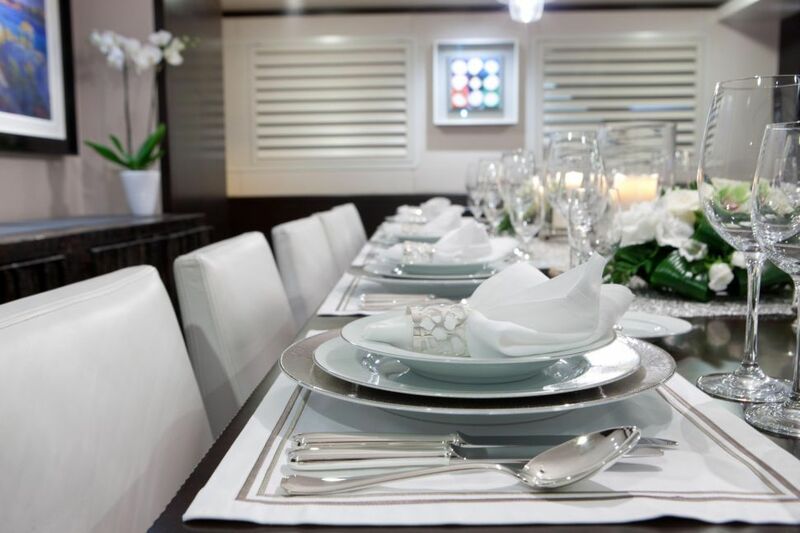 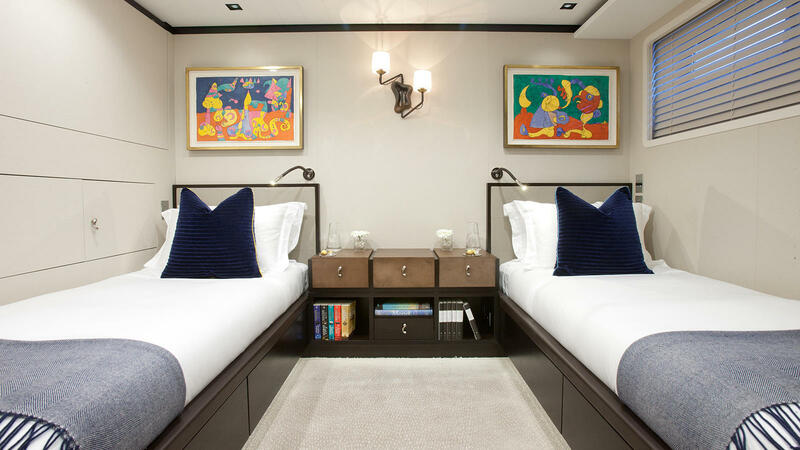 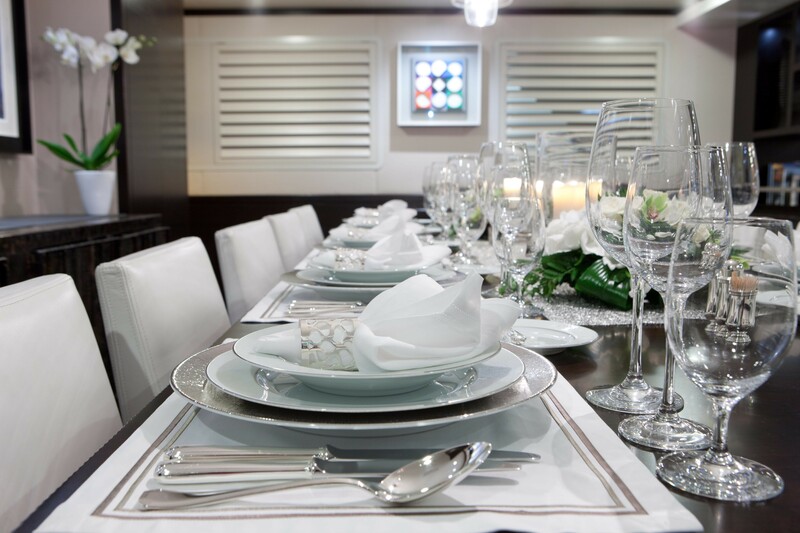 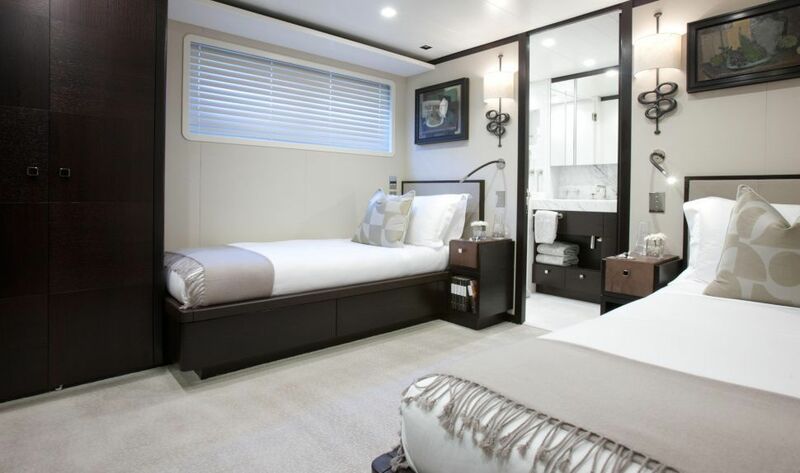 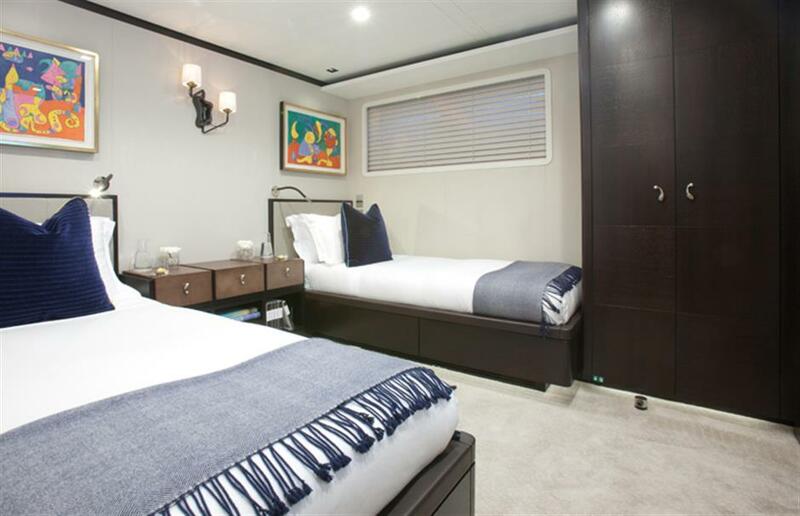 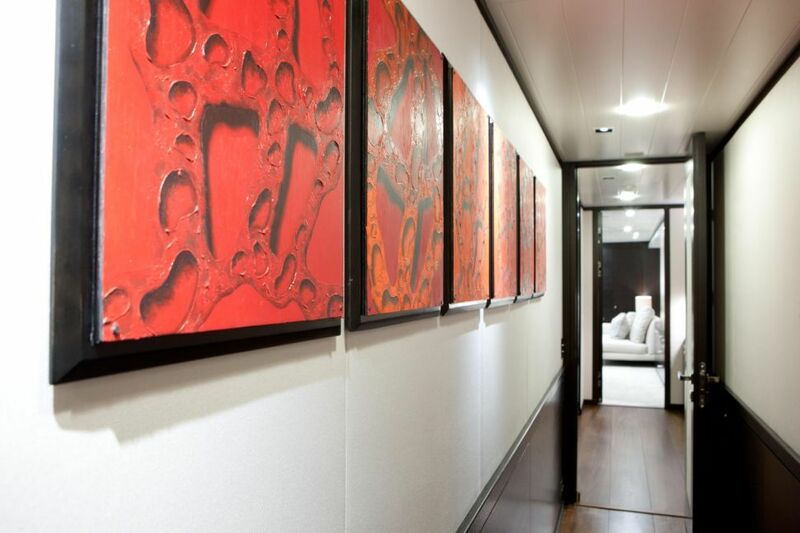 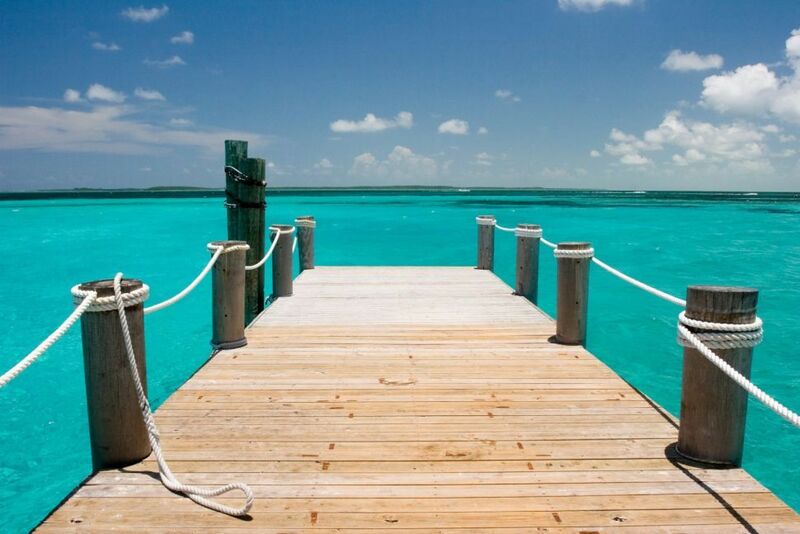 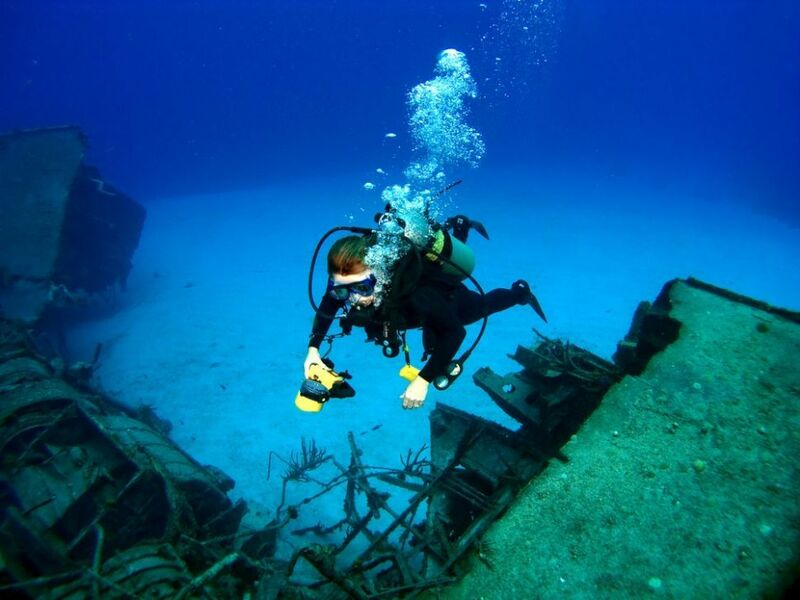 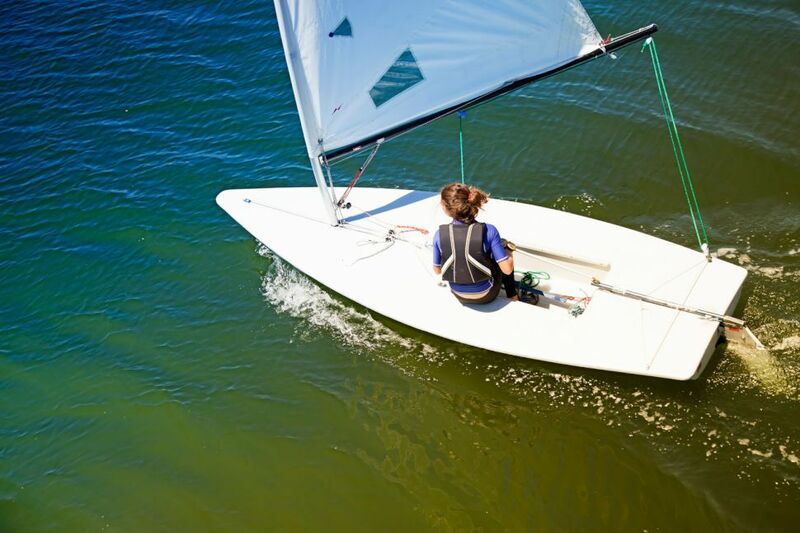 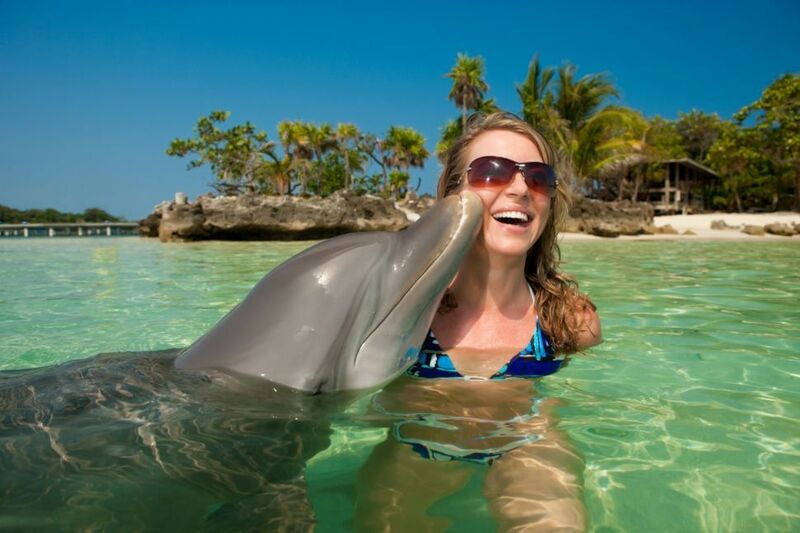 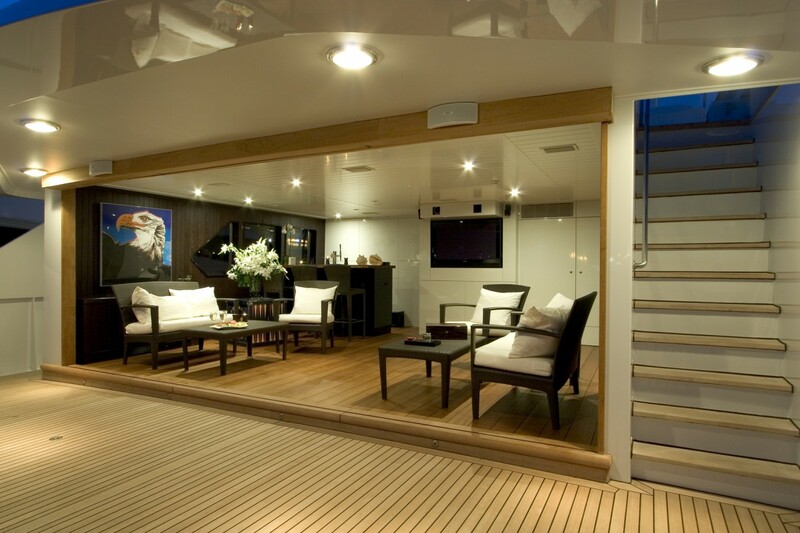 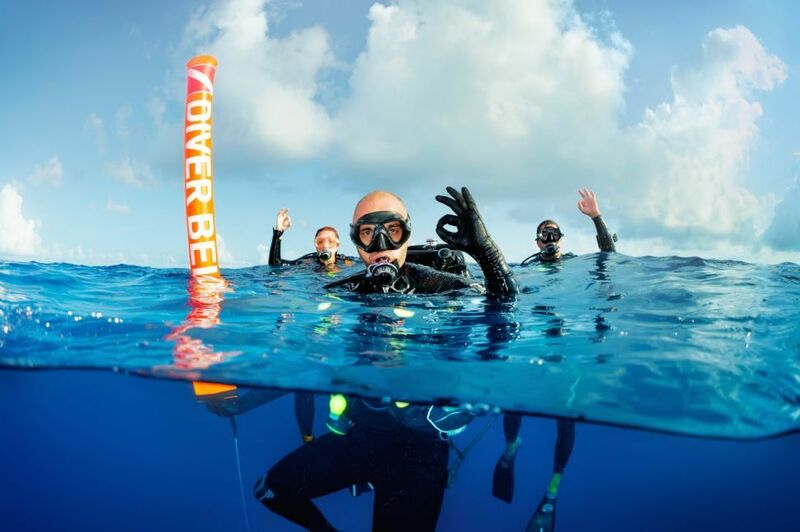 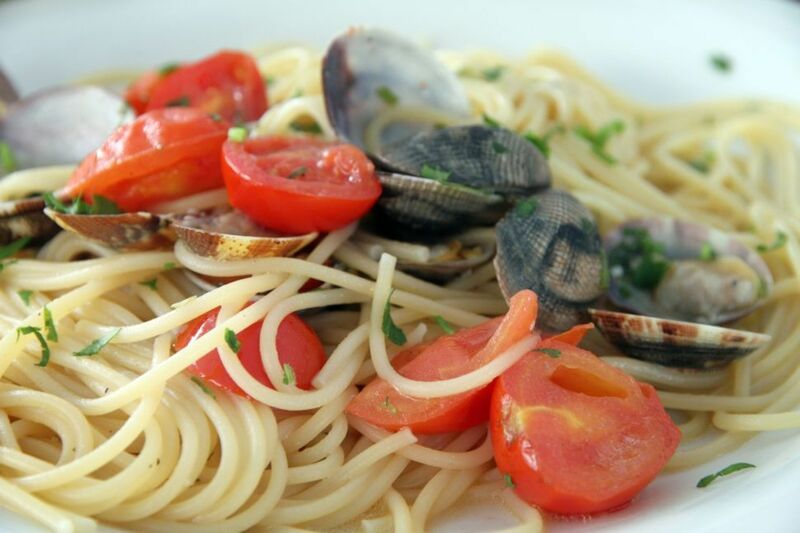 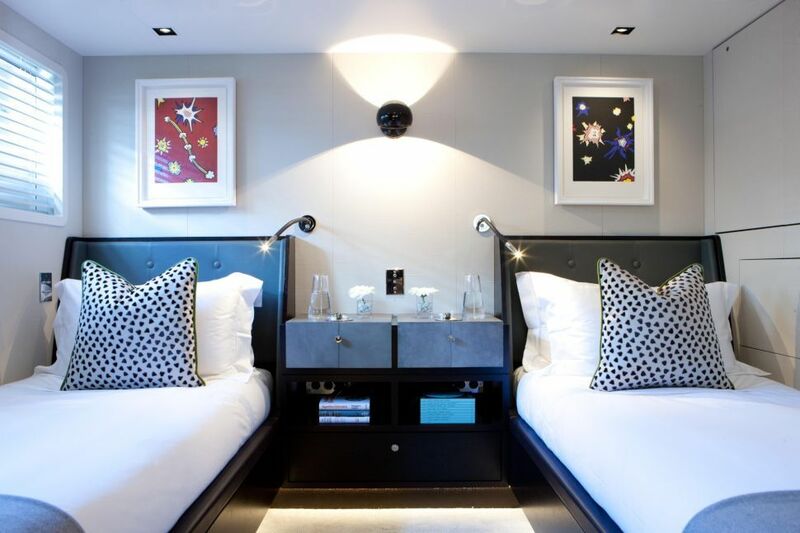 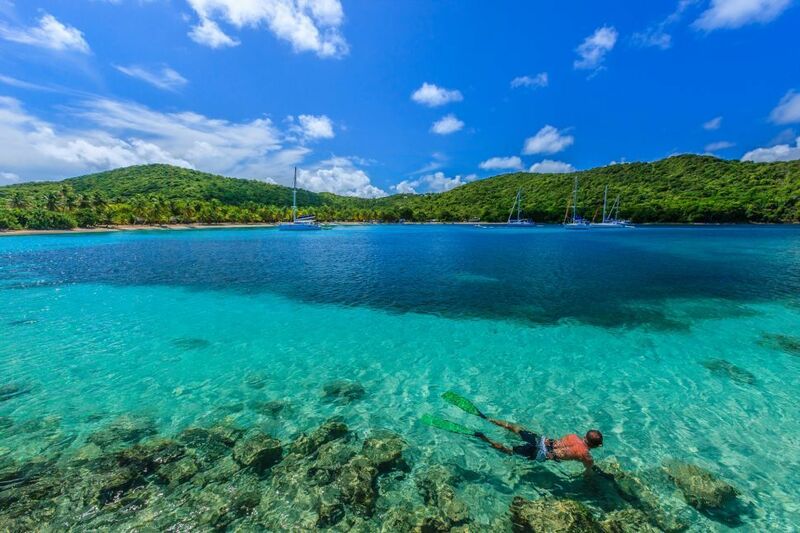 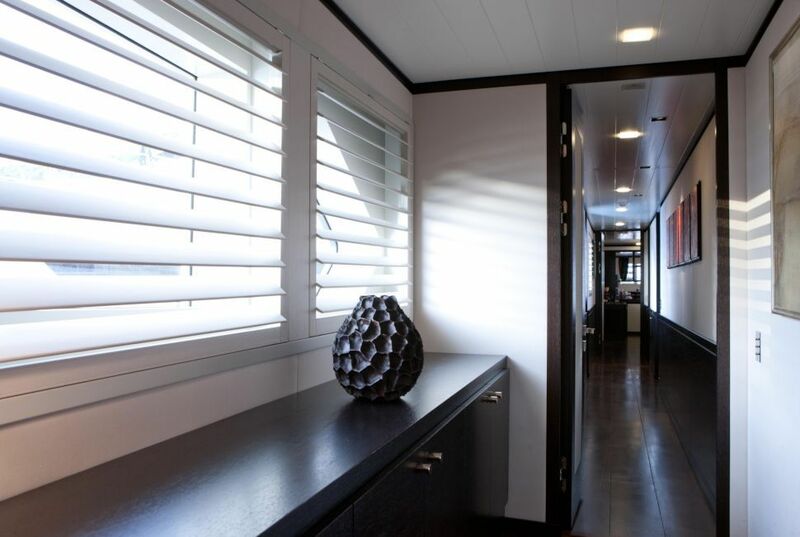 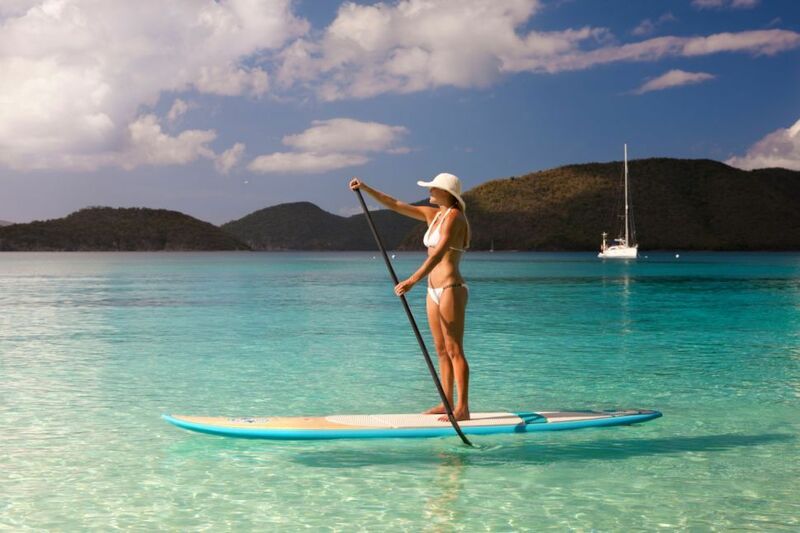 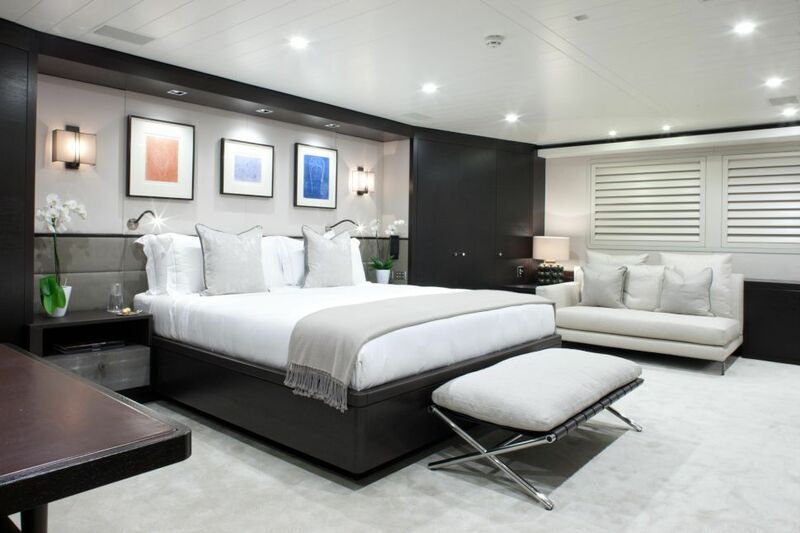 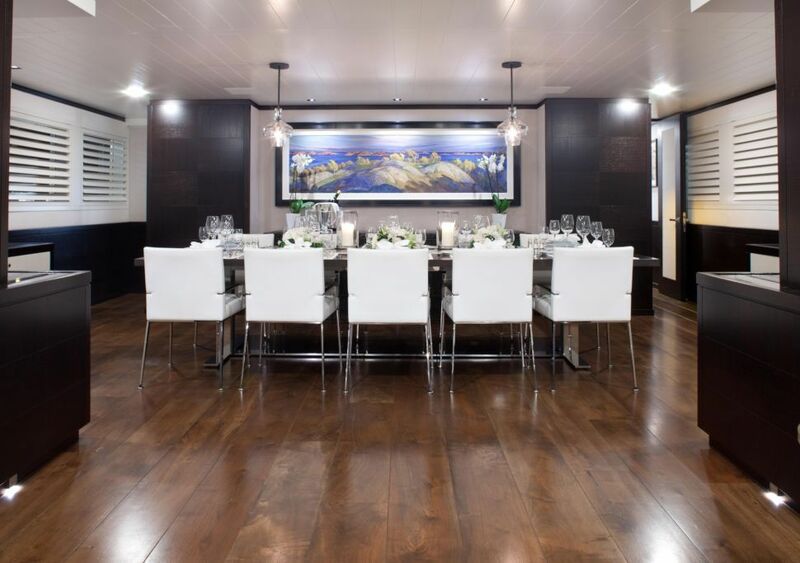 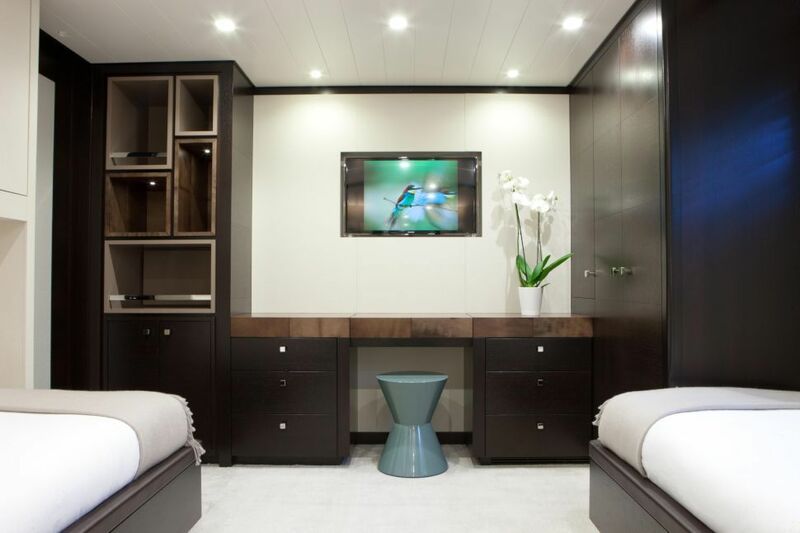 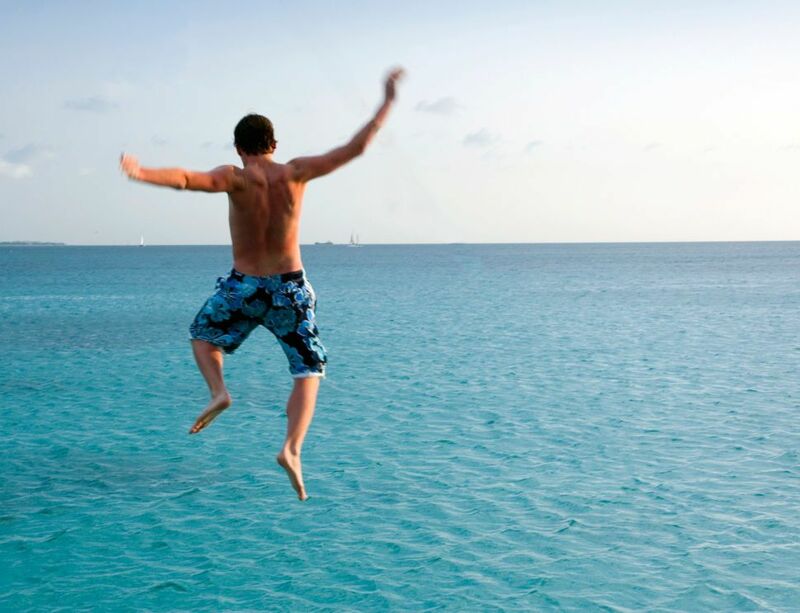 Below decks are a further two double guest cabins and two twin guest cabins with en-suite facilities. 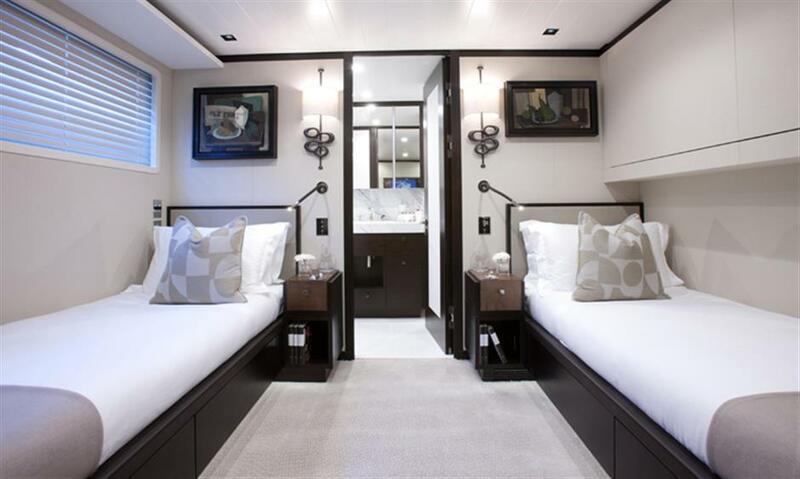 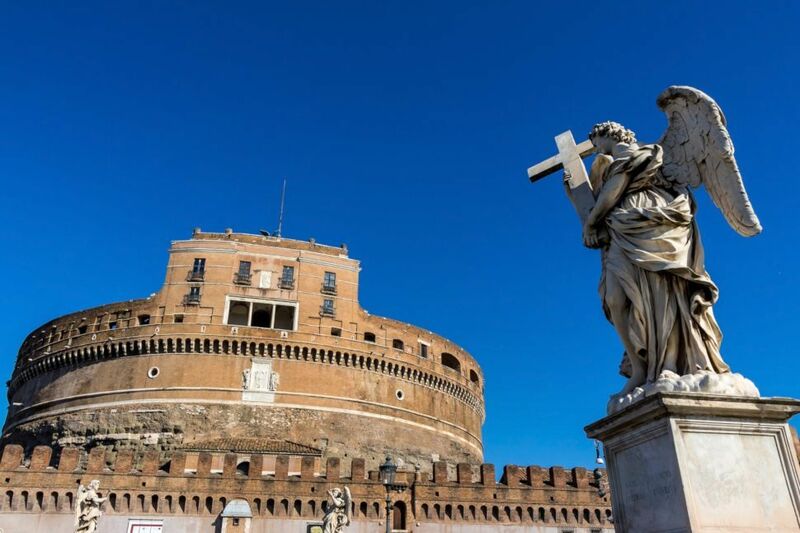 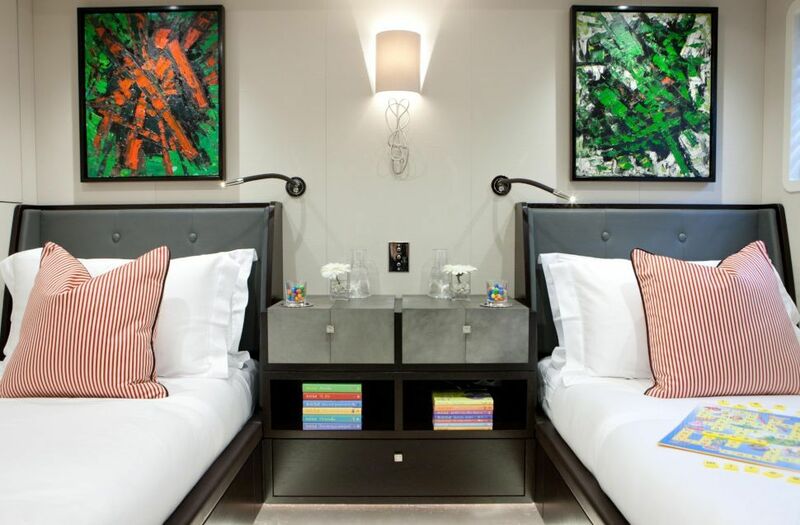 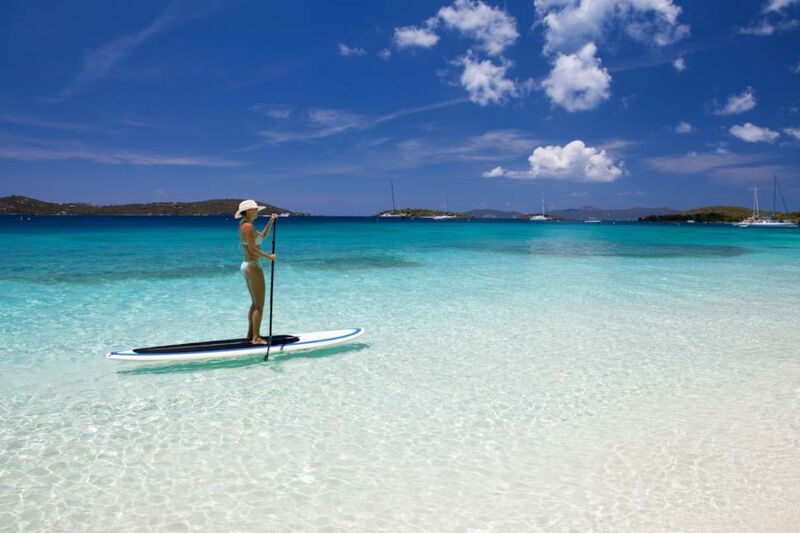 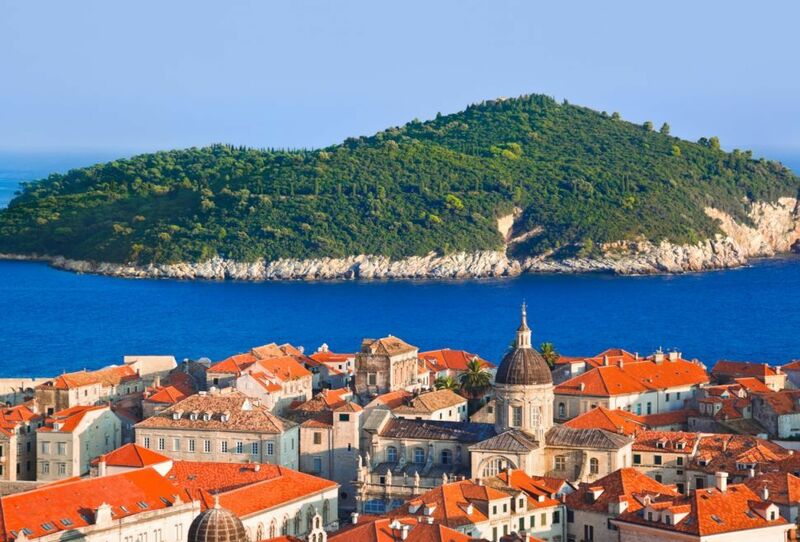 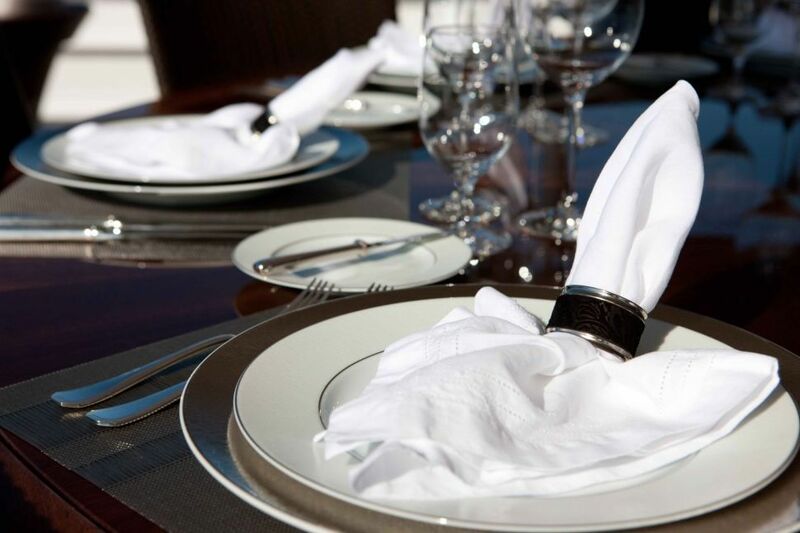 4 Pullman berths are available for additional guests.